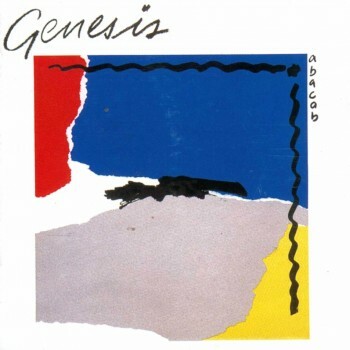 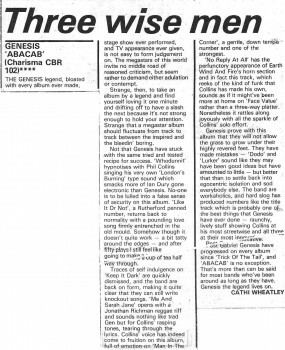 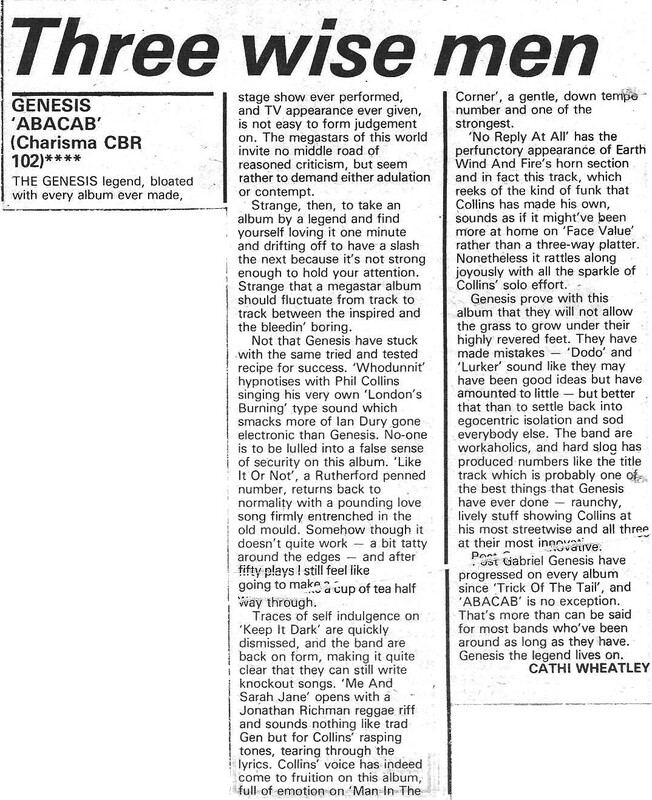 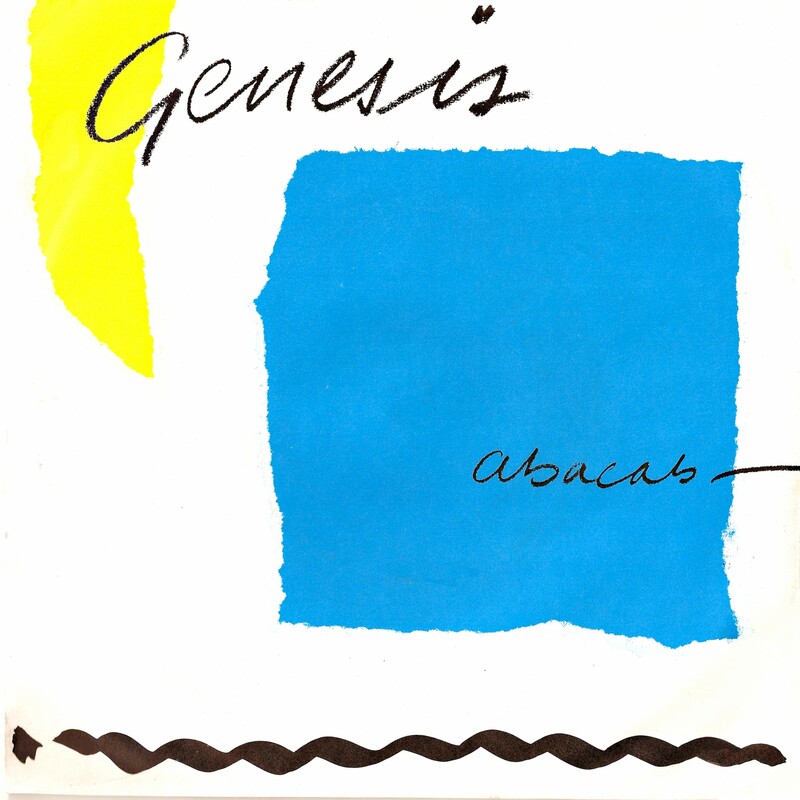 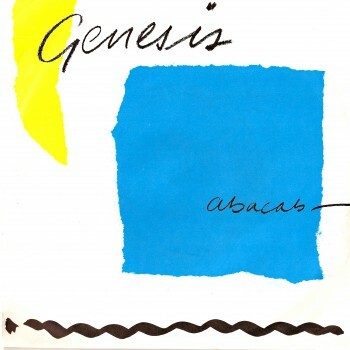 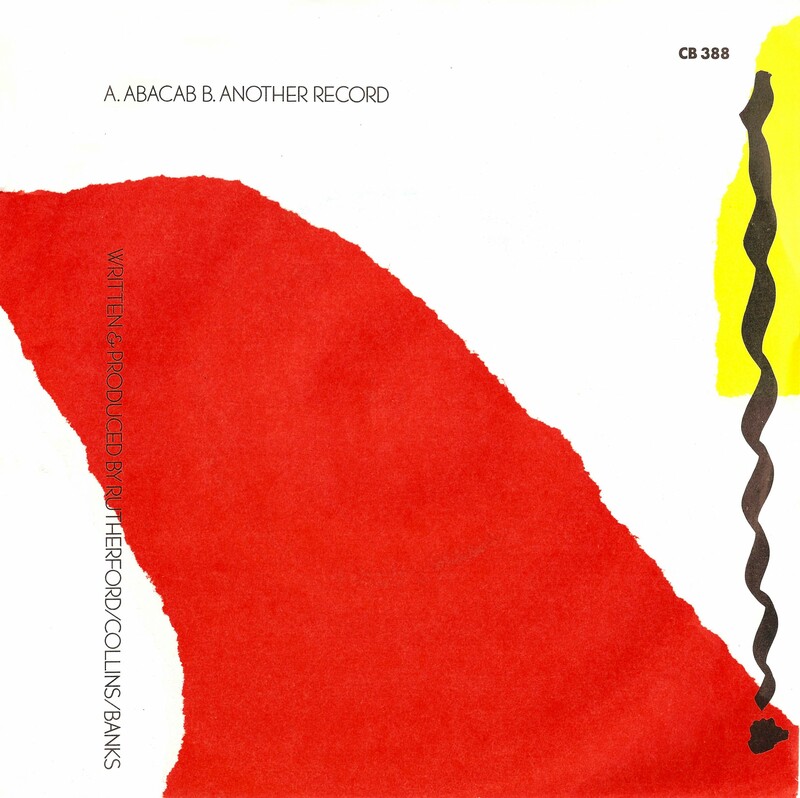 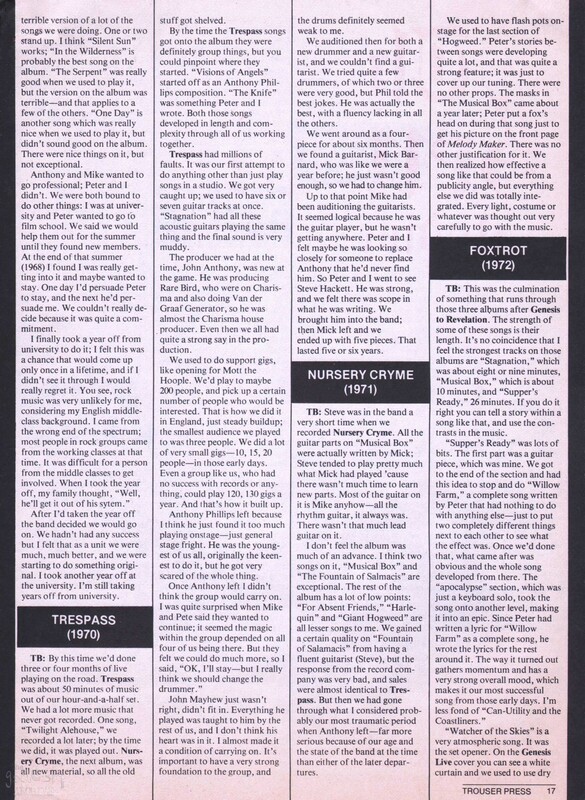 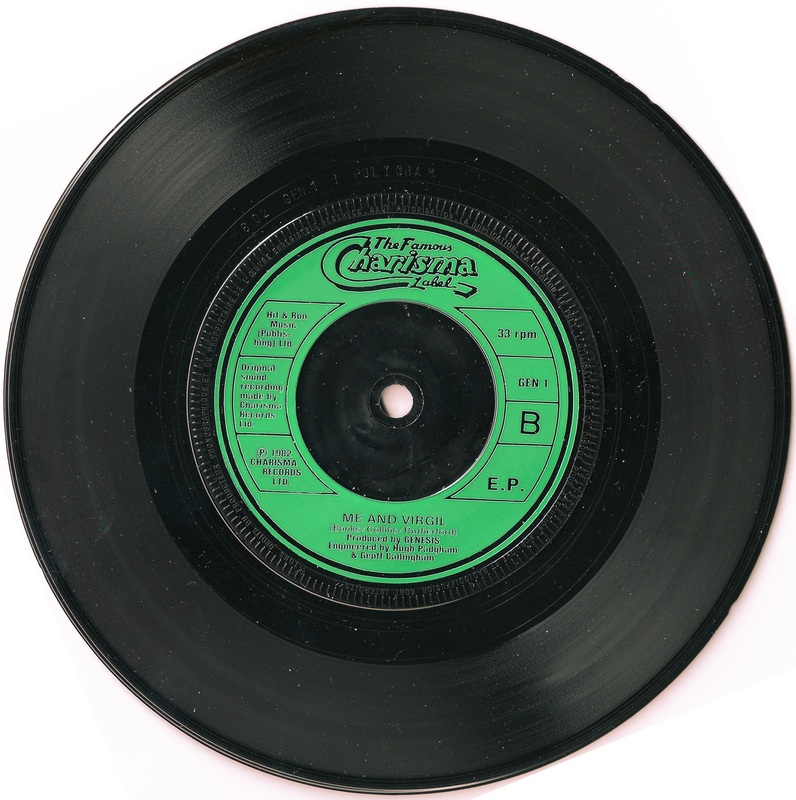 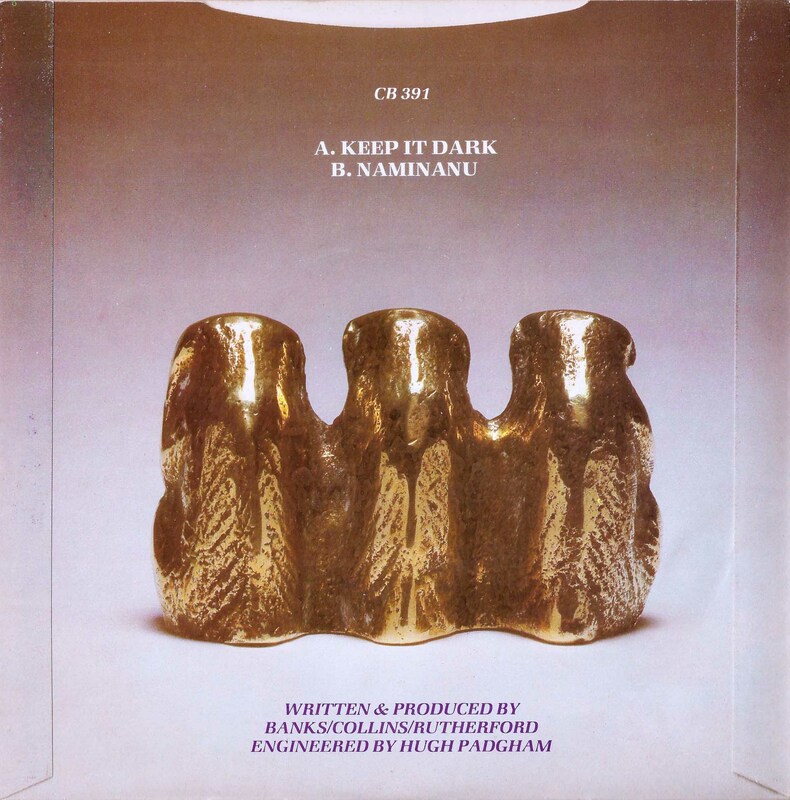 A review of Abacab, I think I disagree with it personally! 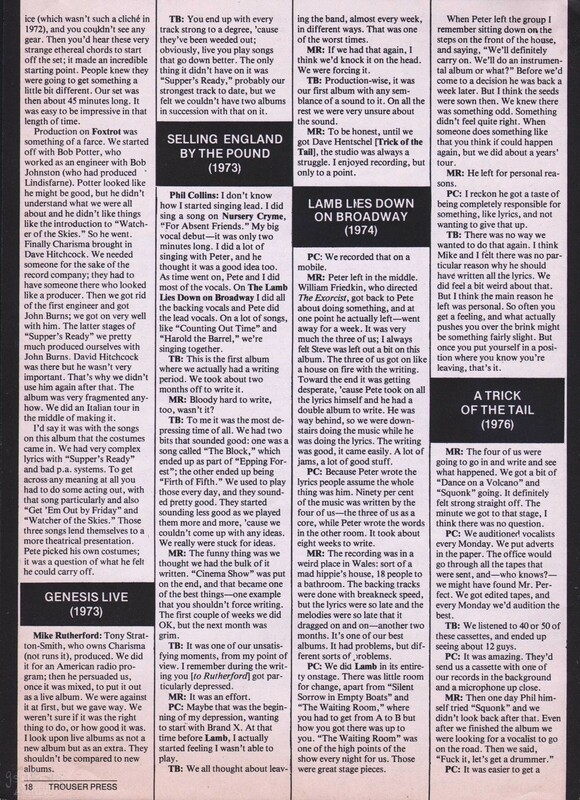 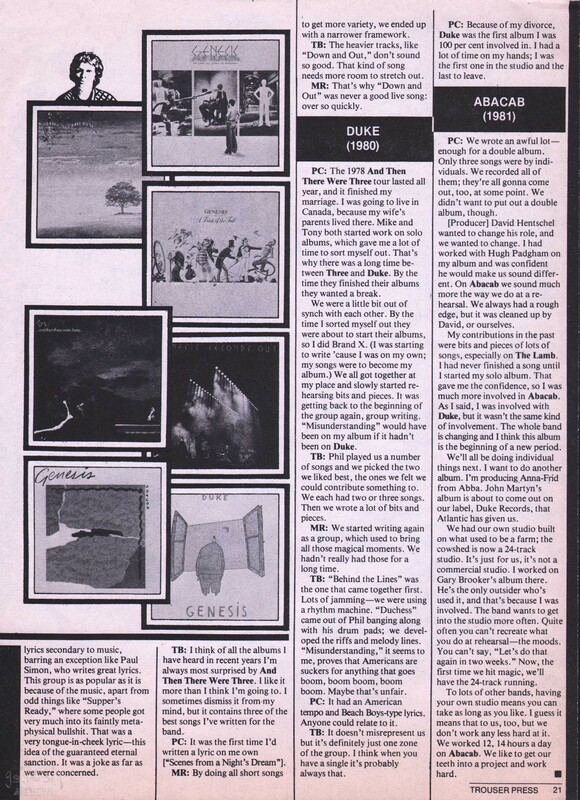 Another review not certain which music magazine/paper this is from. 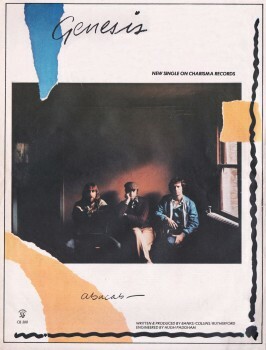 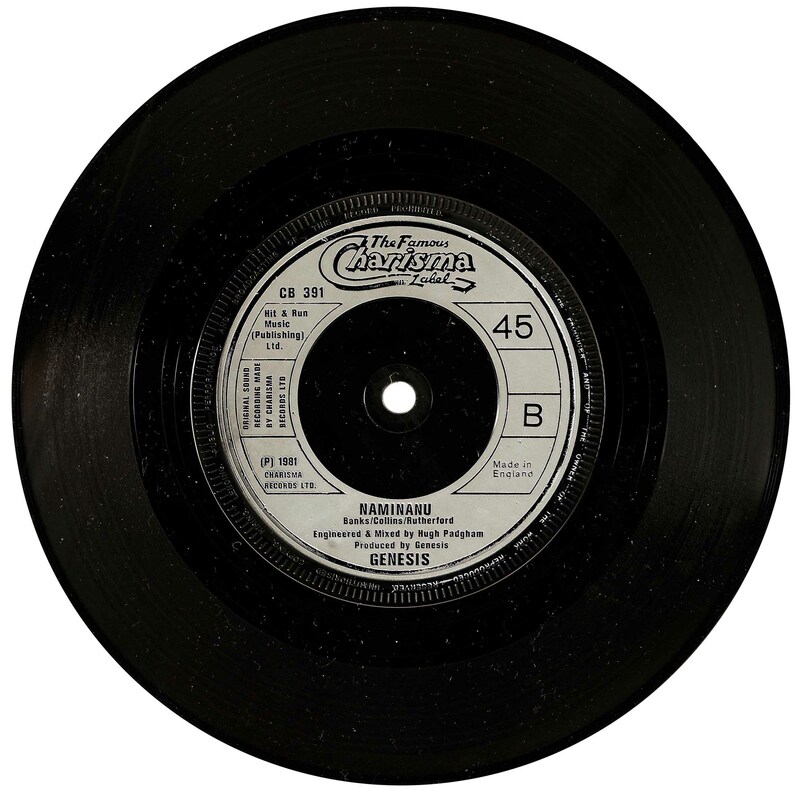 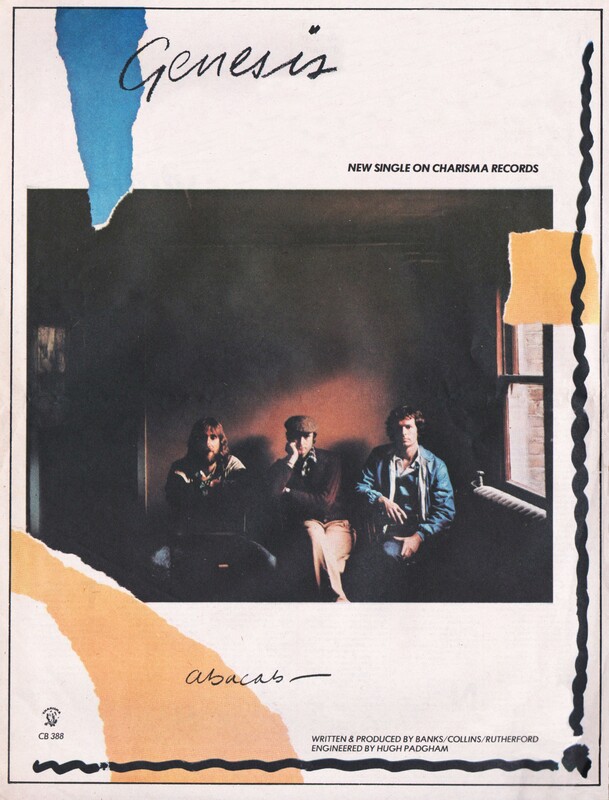 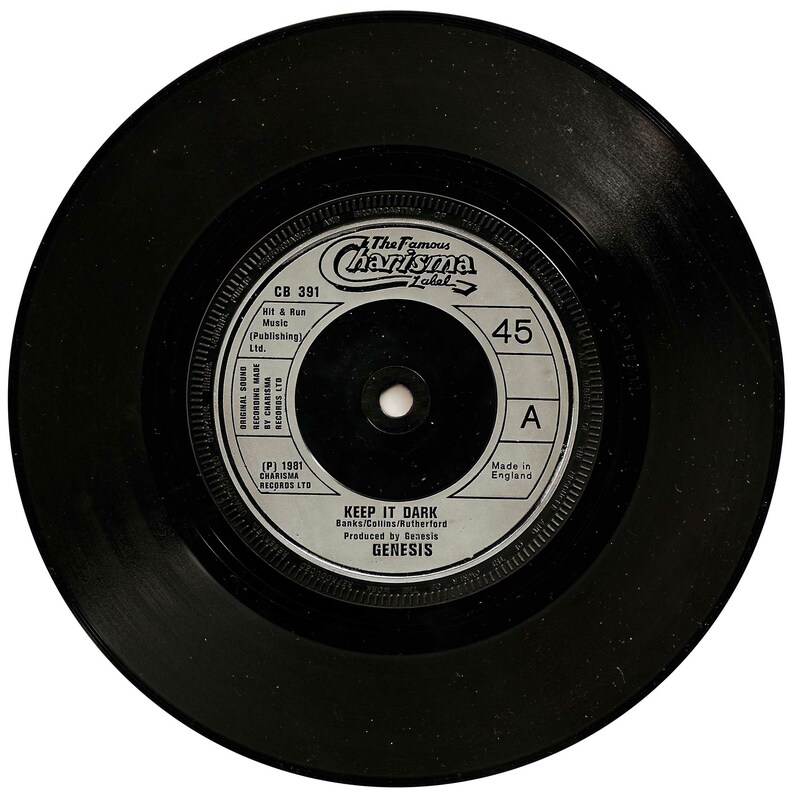 This is an Abacab album era Charisma Records press photo. 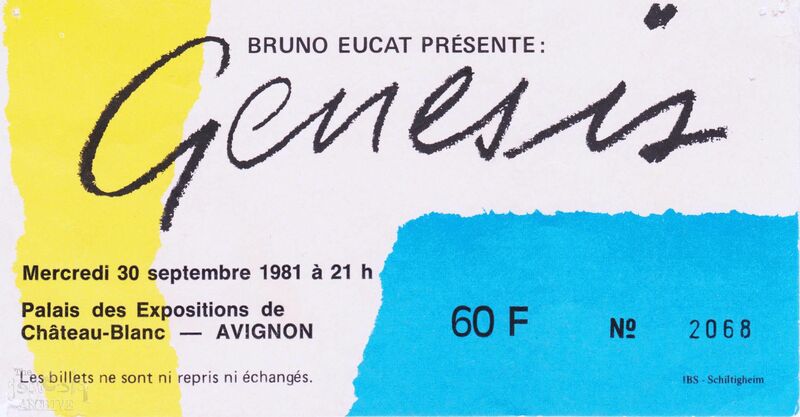 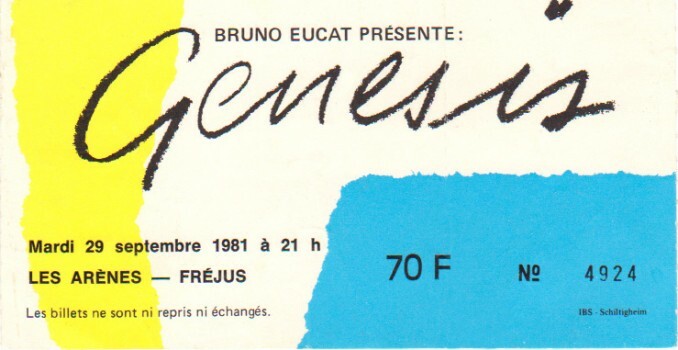 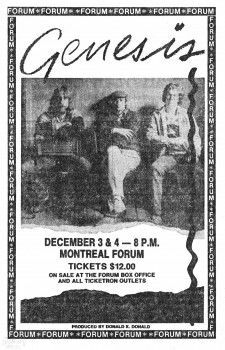 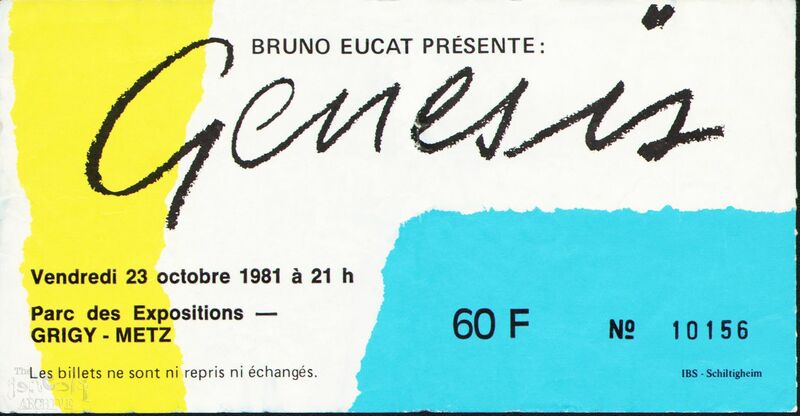 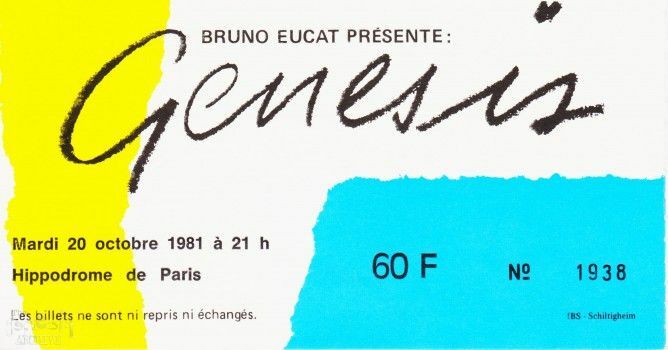 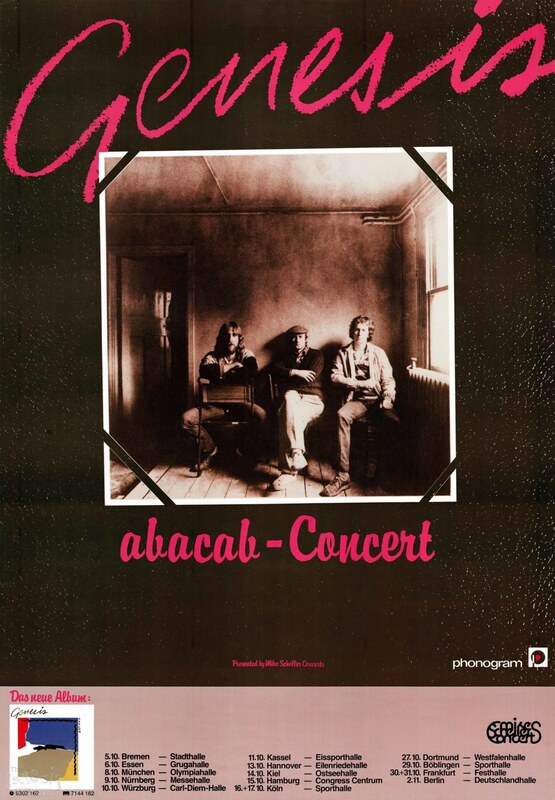 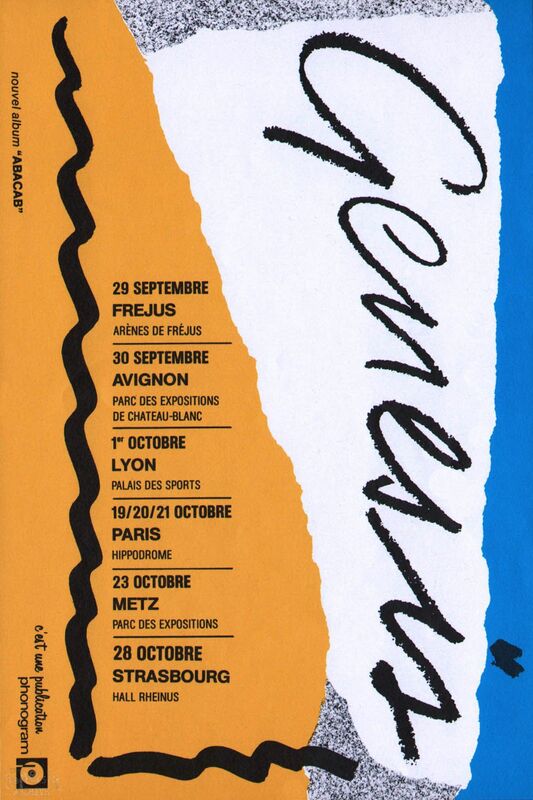 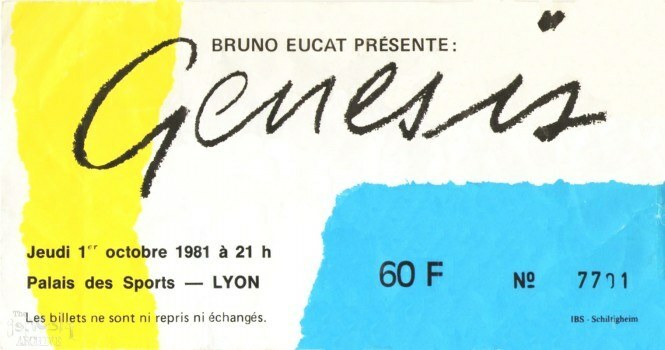 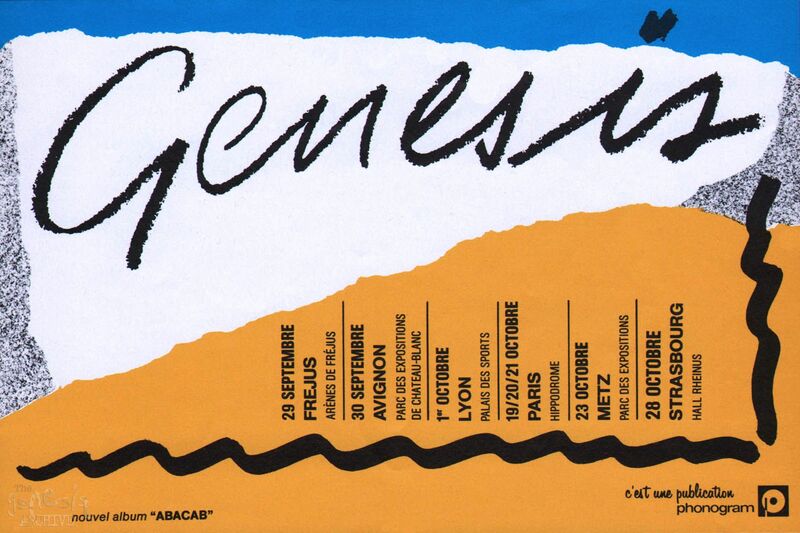 The Abacab tour A tour flyer for the French leg of the Abacab tour of 1981. 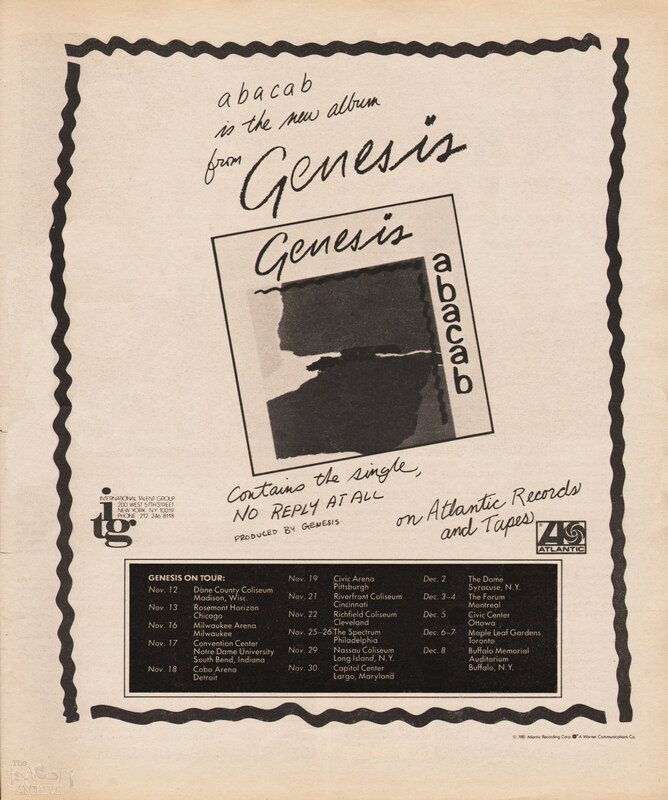 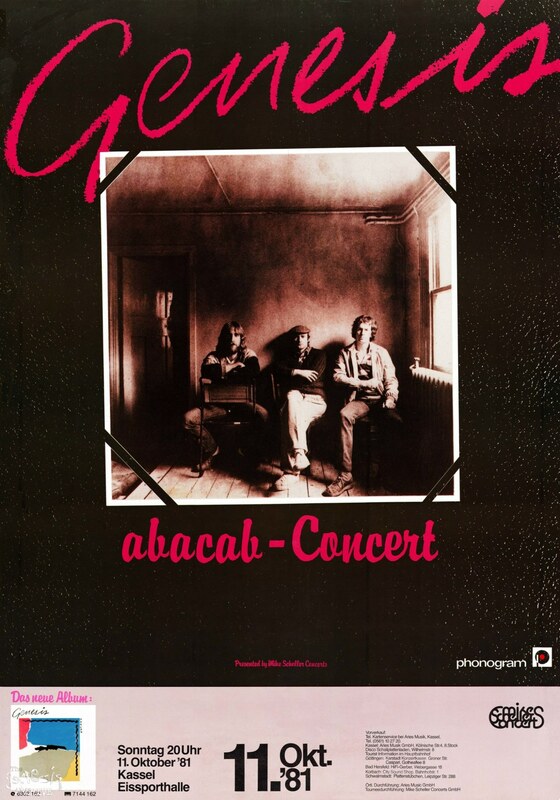 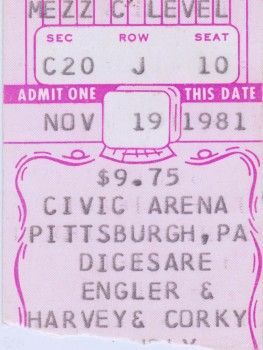 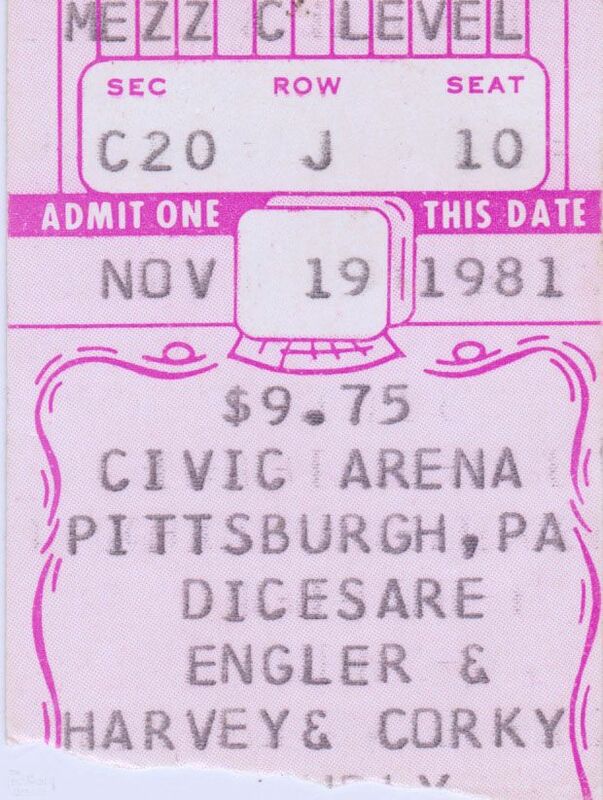 Abacab tour, A ticket for the Wembley Arena show on the 17th December 1981. 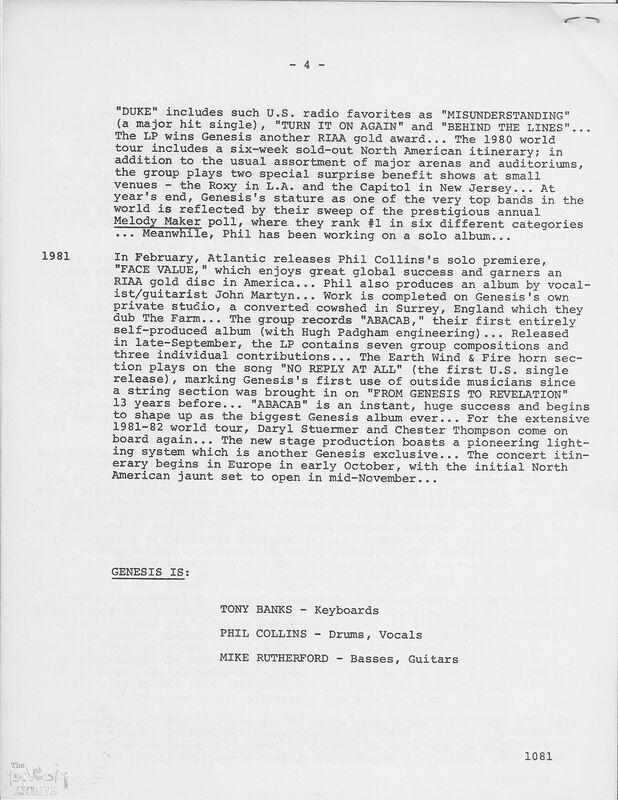 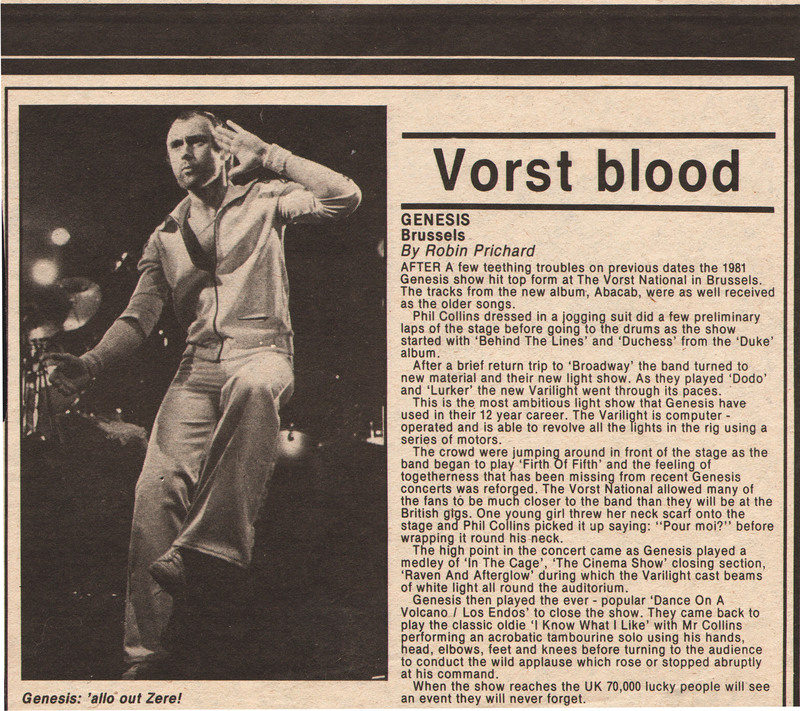 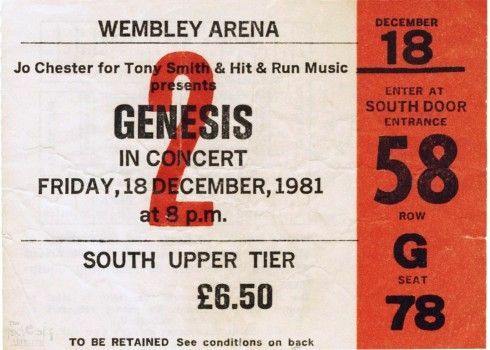 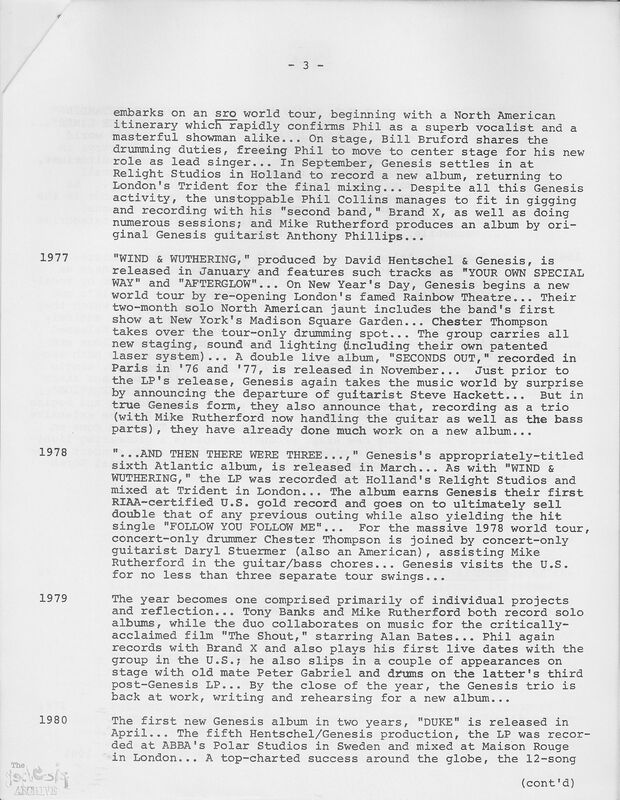 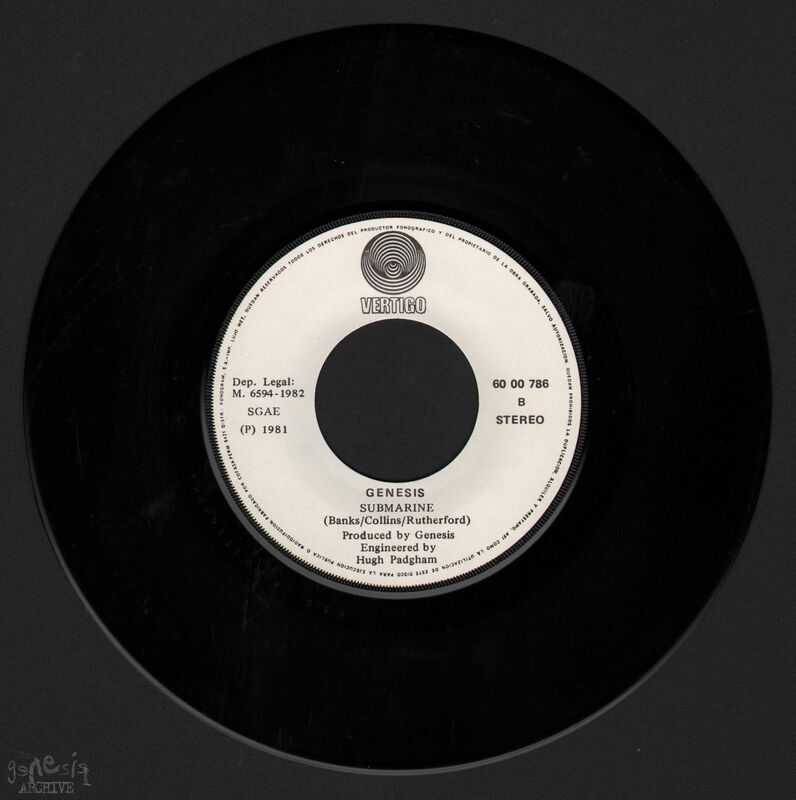 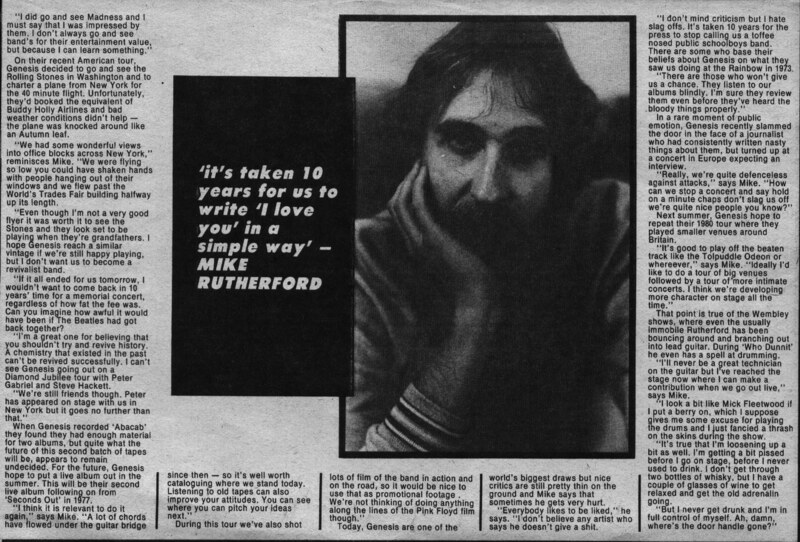 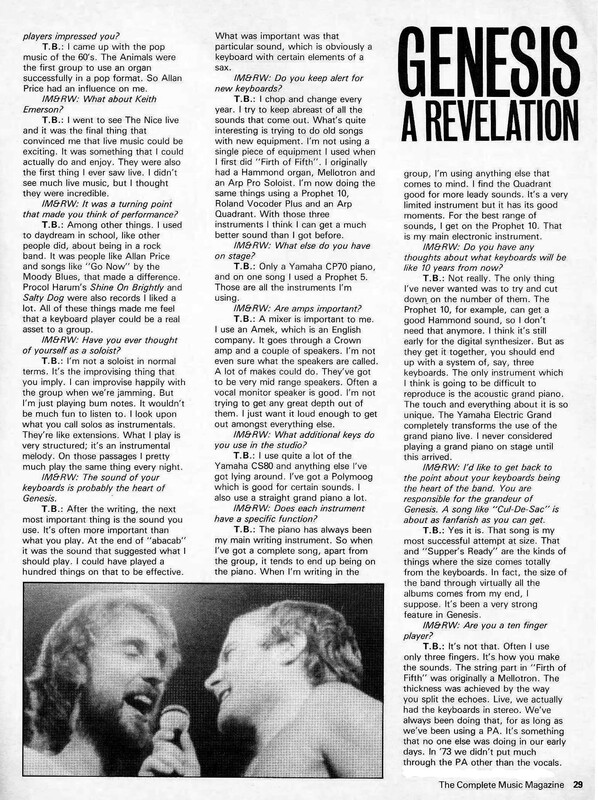 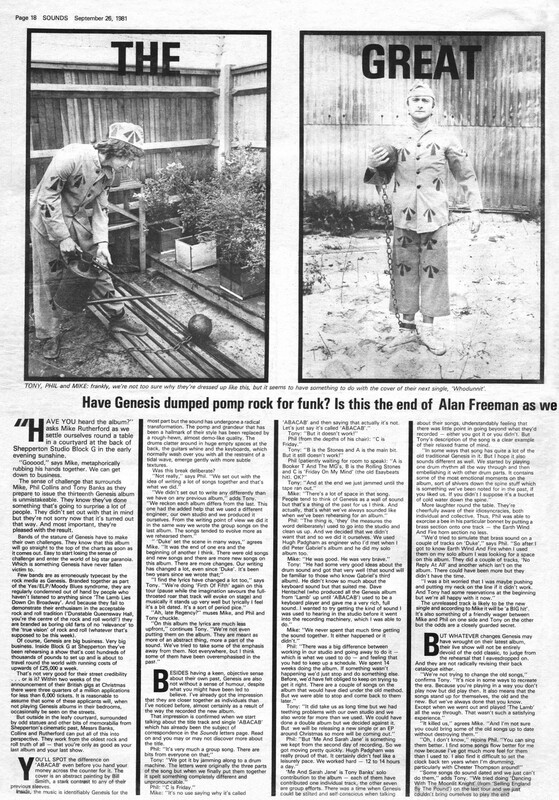 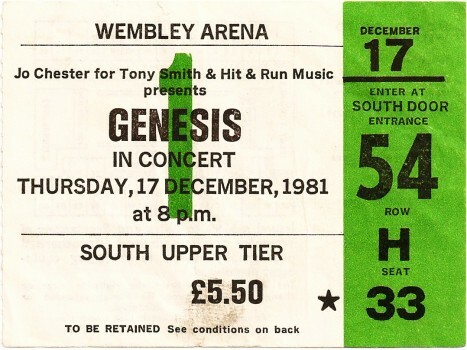 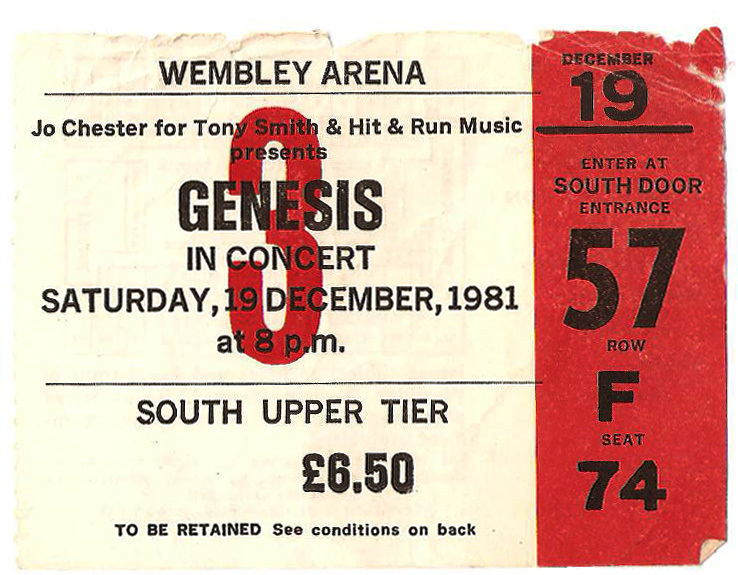 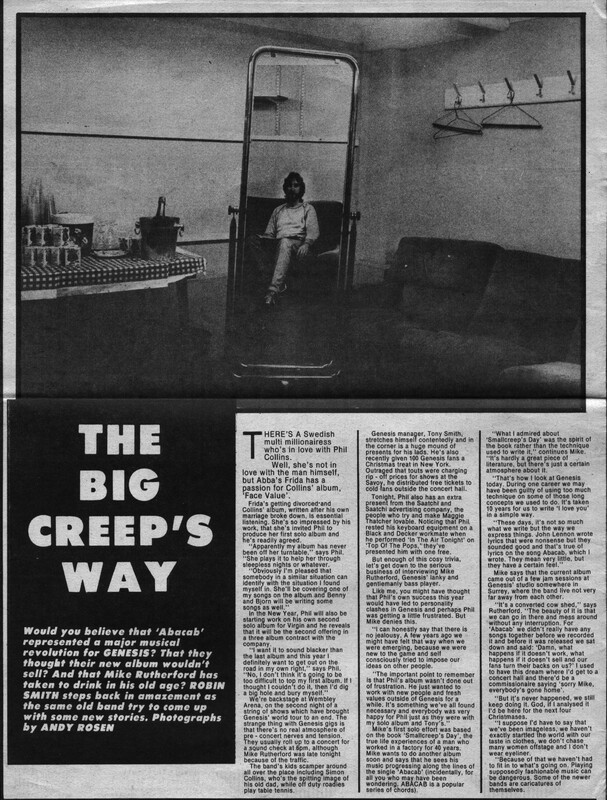 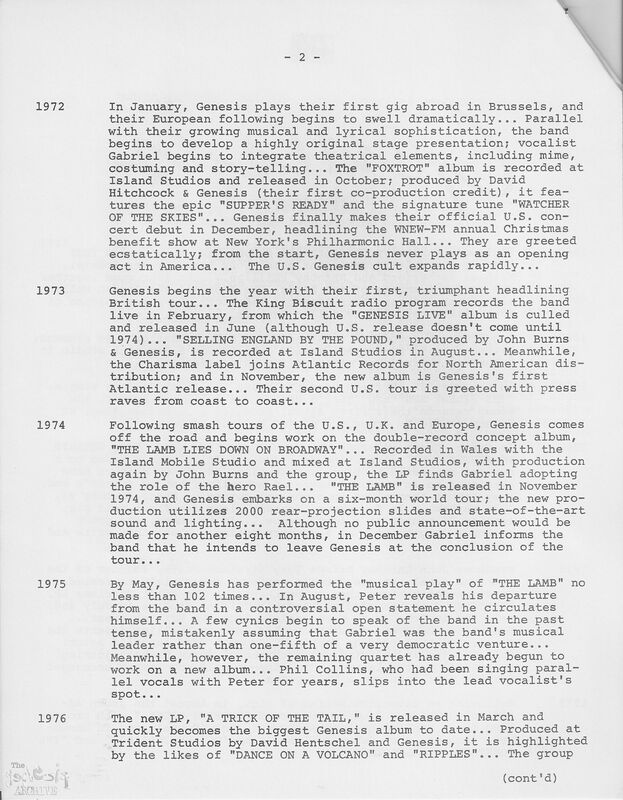 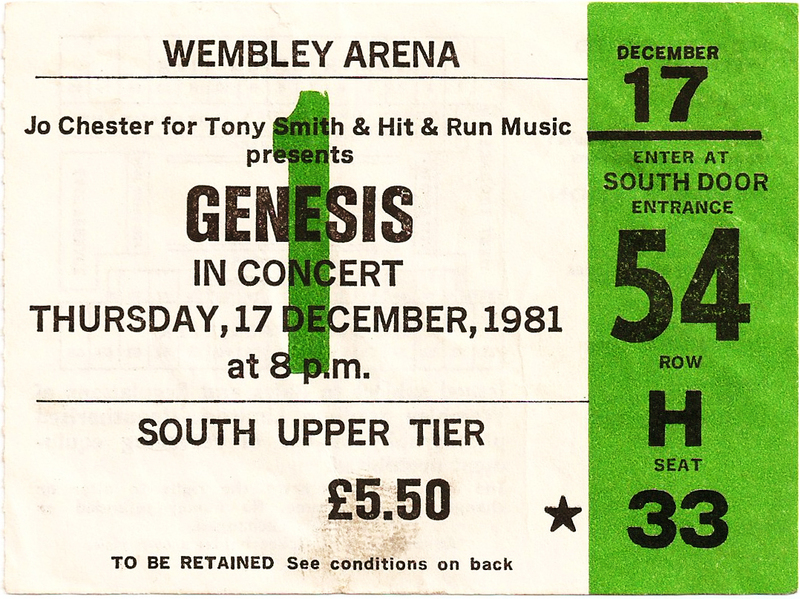 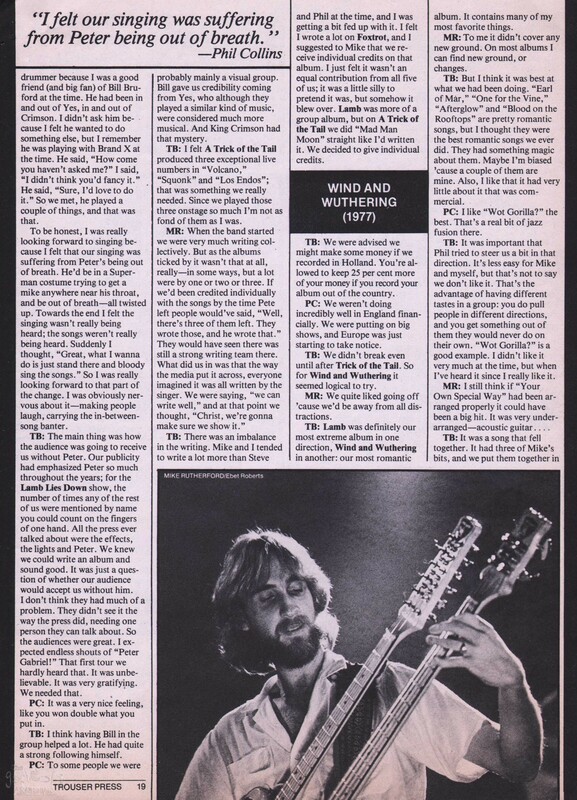 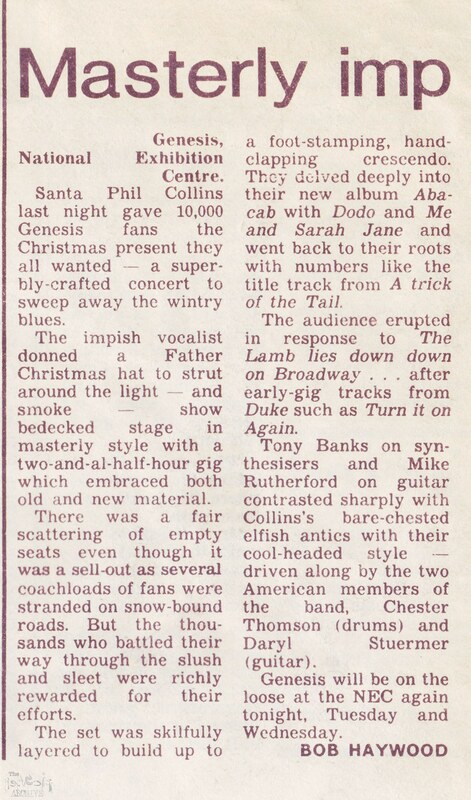 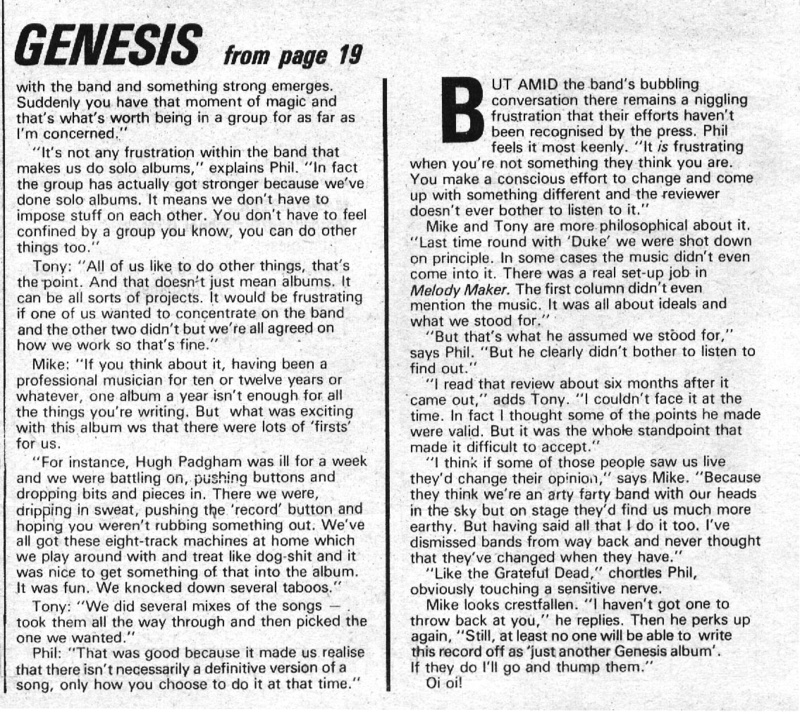 Robin Smith interviews mainly Mike Rutherford of Genesis backstage at Wembley Arena 18th December 1981… most likely for the publication Record Mirror. 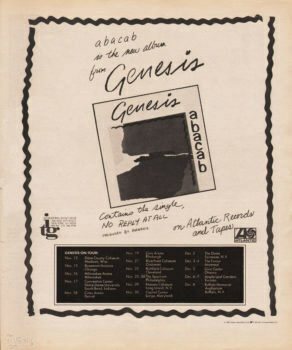 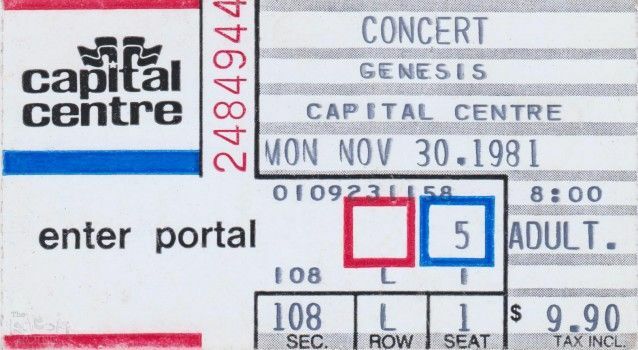 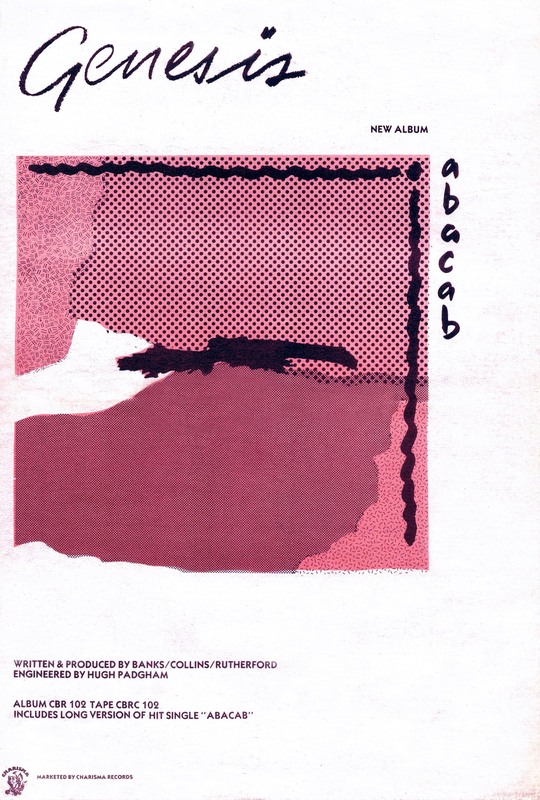 Abacab tour, A ticket for the Wembley Arena show on the 19th December 1981. 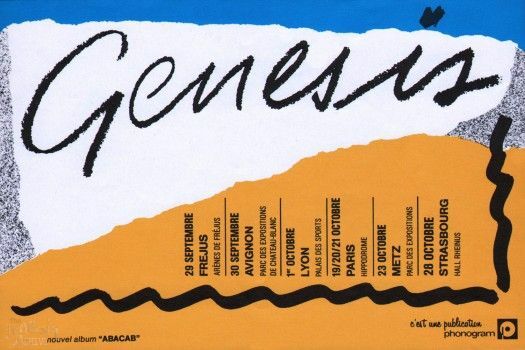 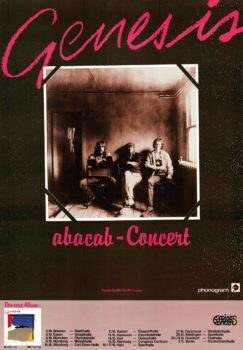 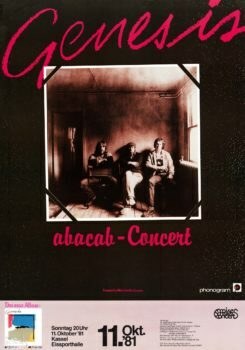 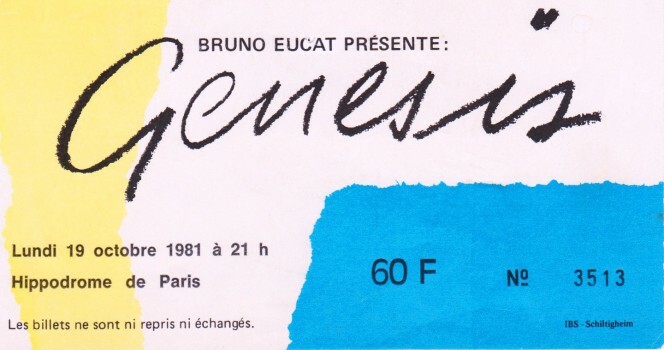 Abacab Tour! 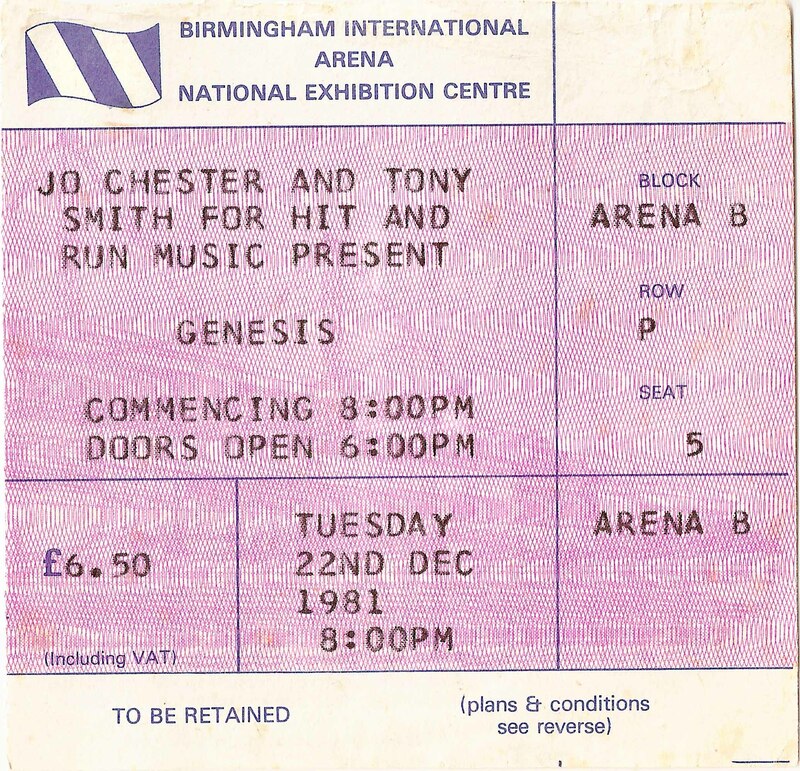 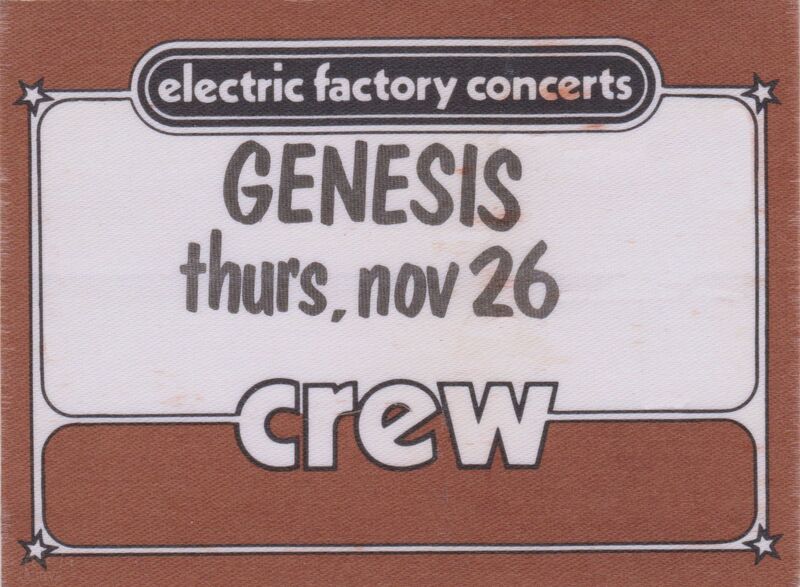 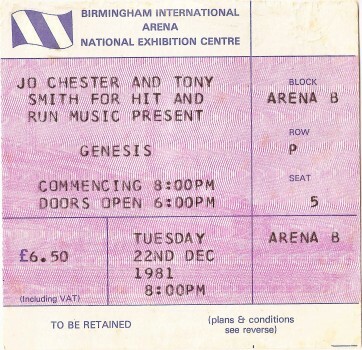 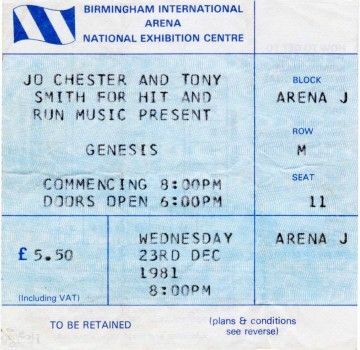 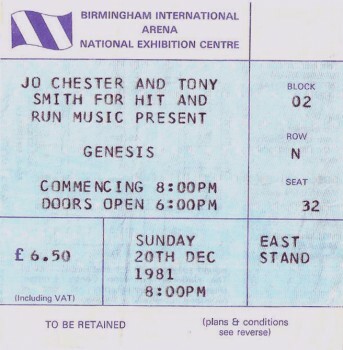 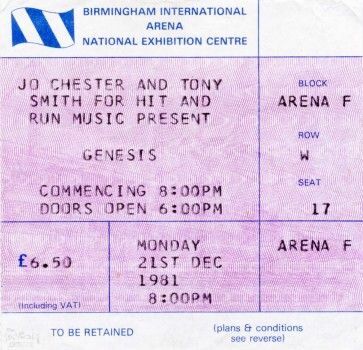 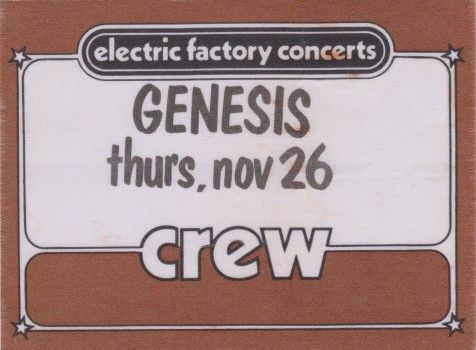 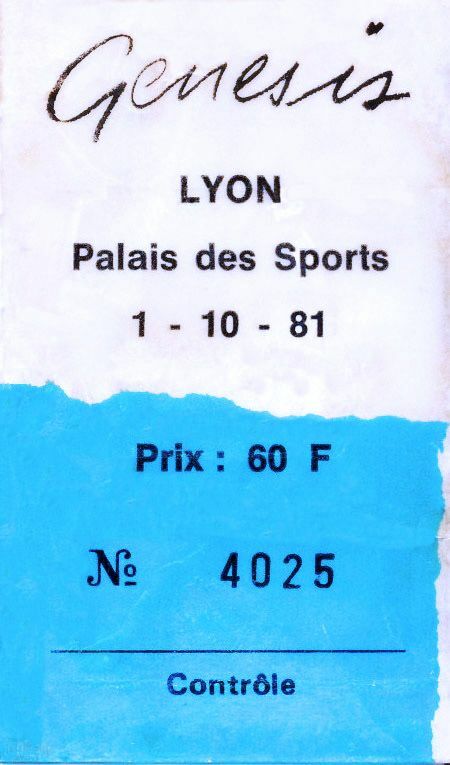 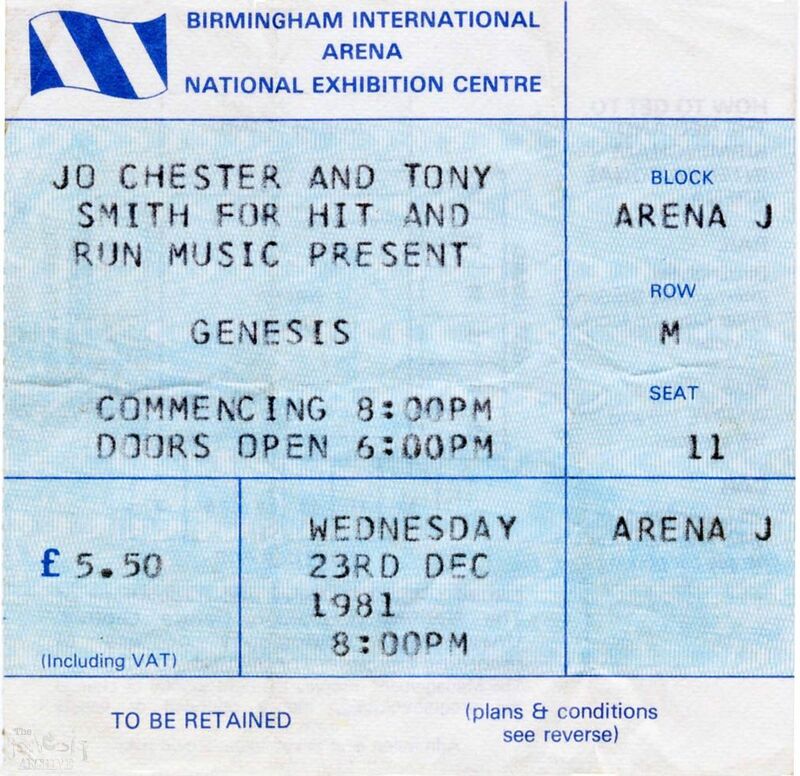 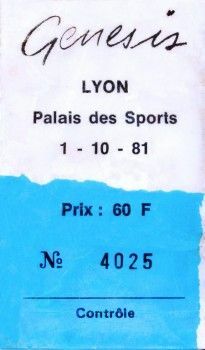 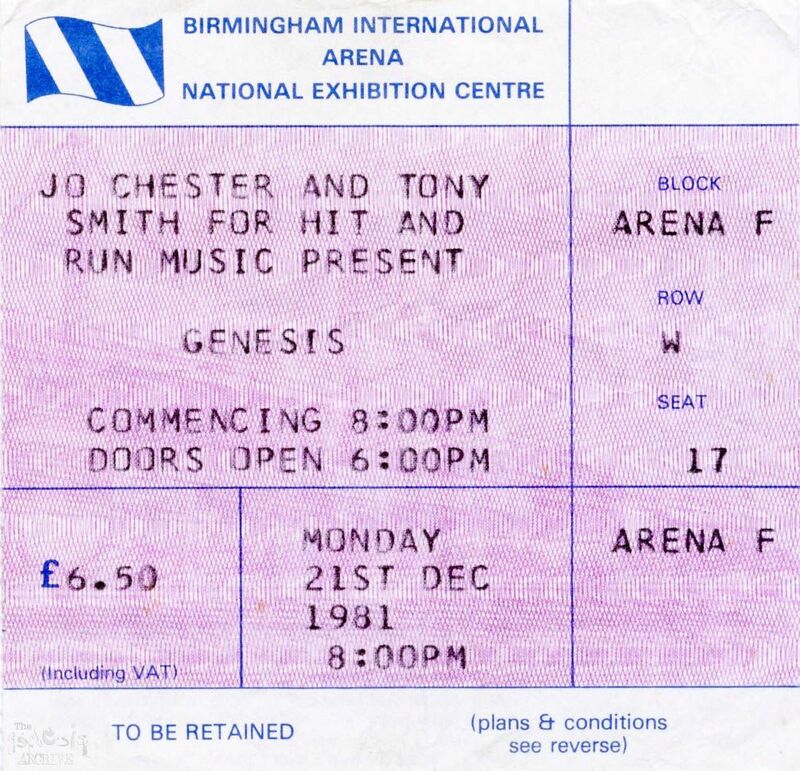 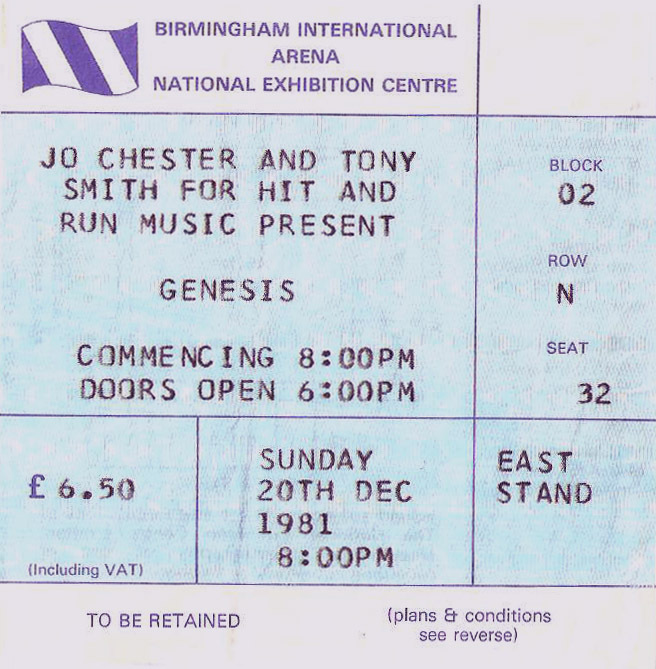 A ticket for the Birmingham NEC show on the 20th December 1981. 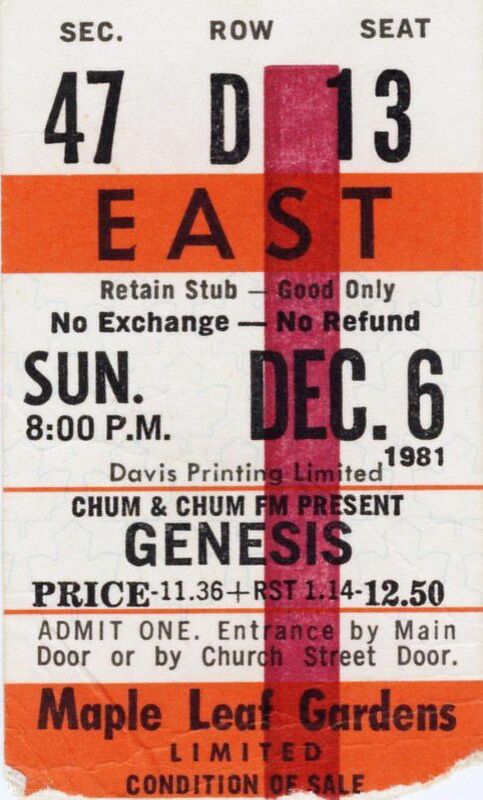 Abacab tour, A ticket for the Birmingham NEC on the 22nd December 1981. 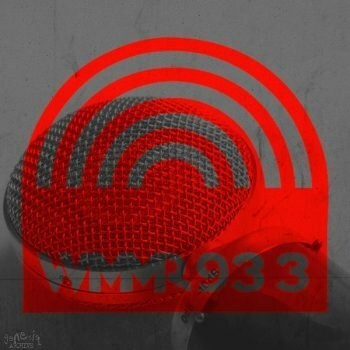 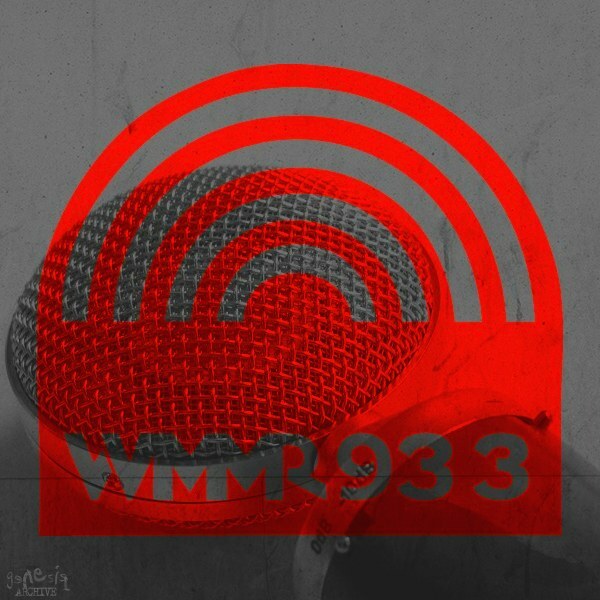 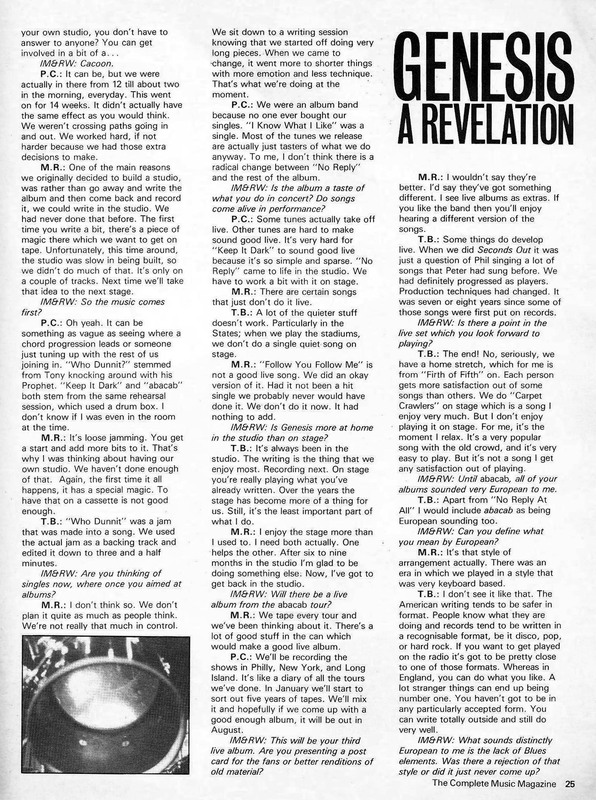 This interview is made up from two interview sessions. 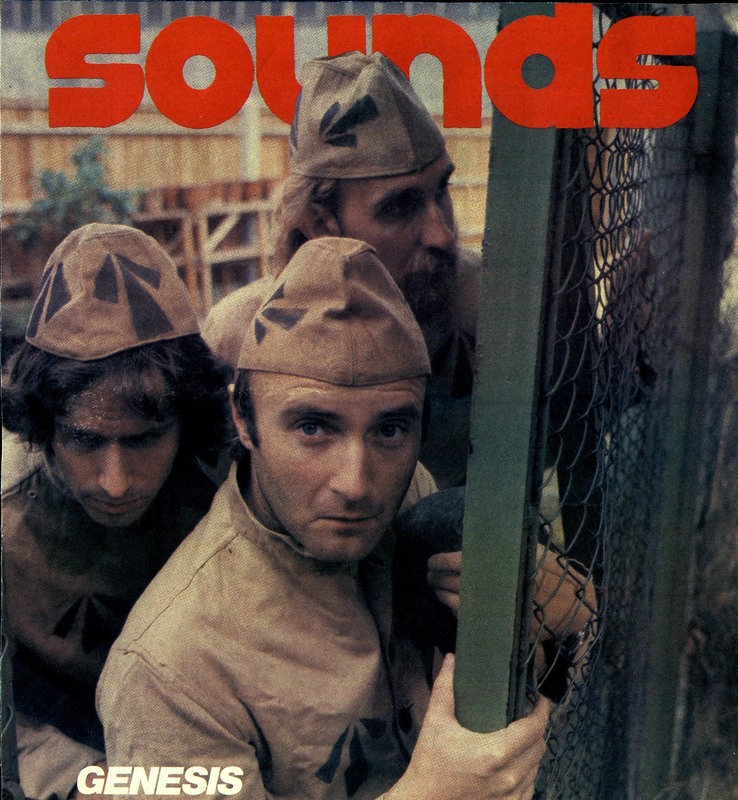 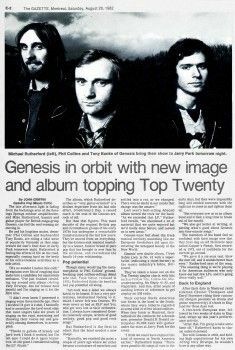 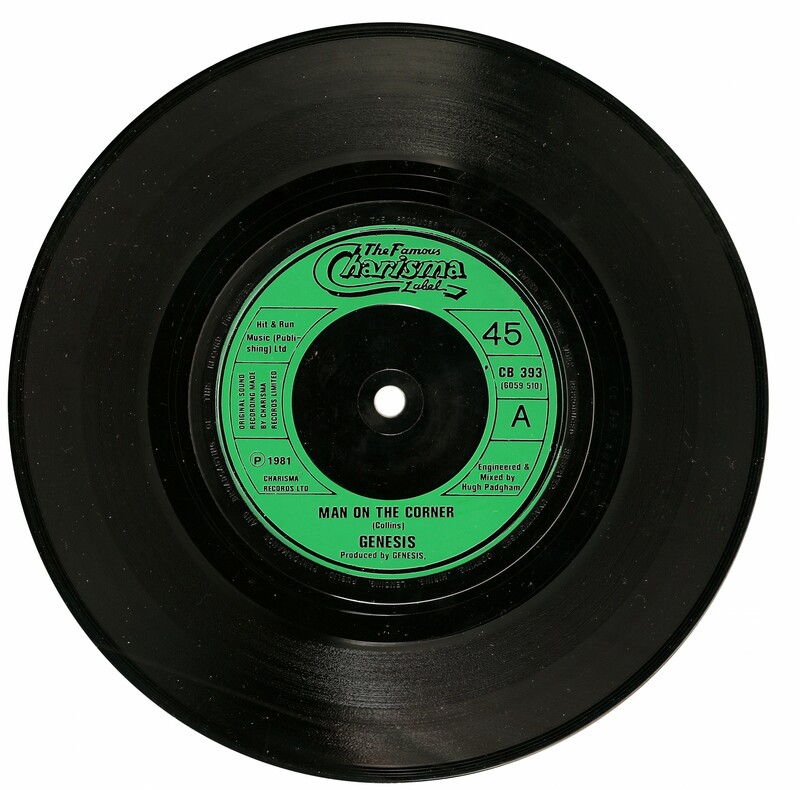 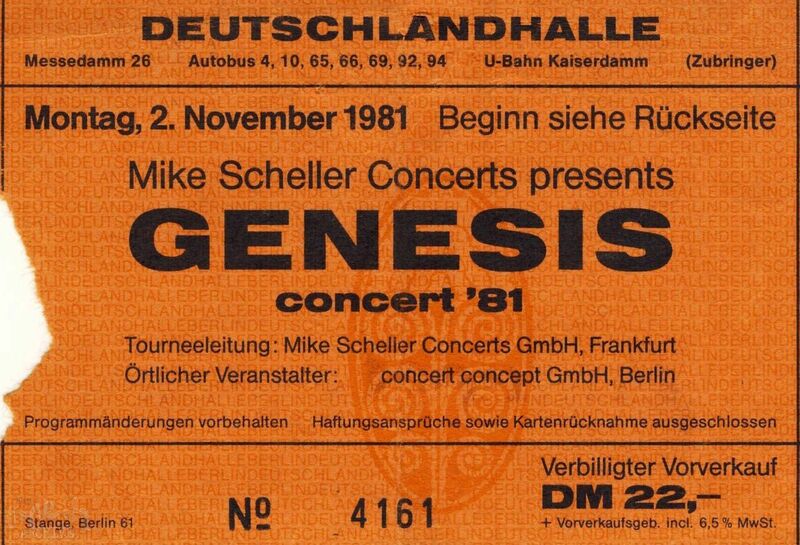 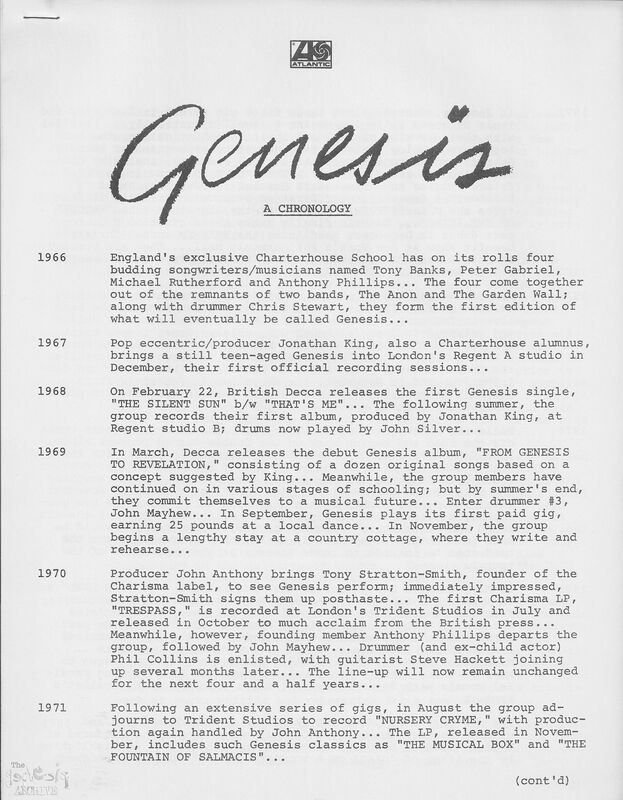 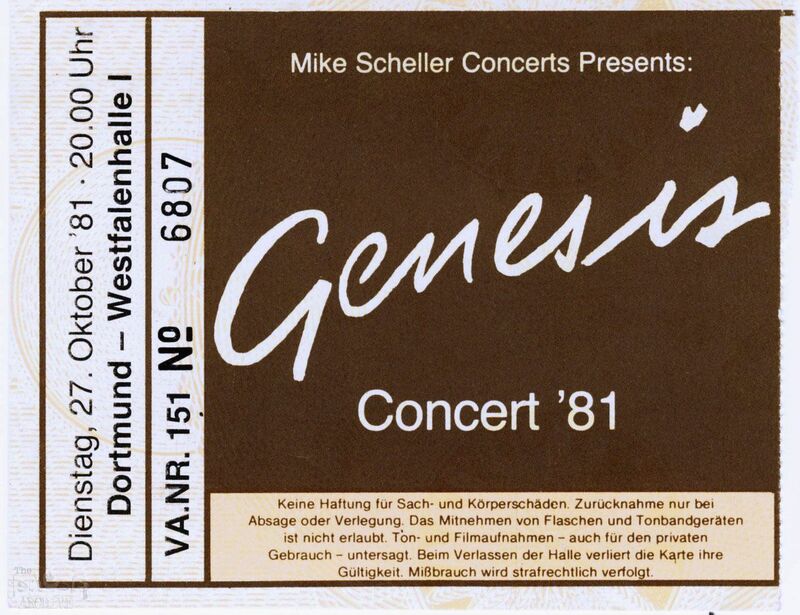 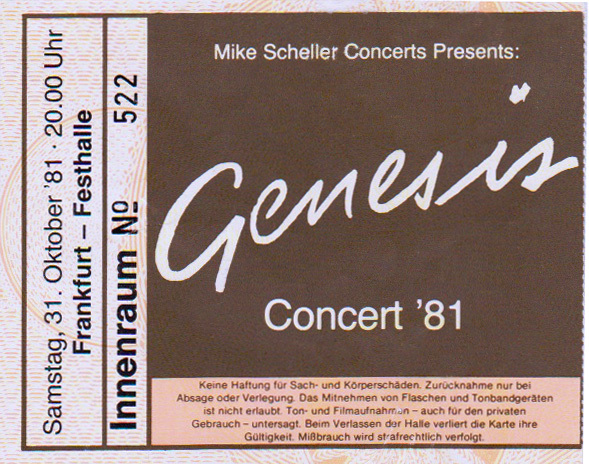 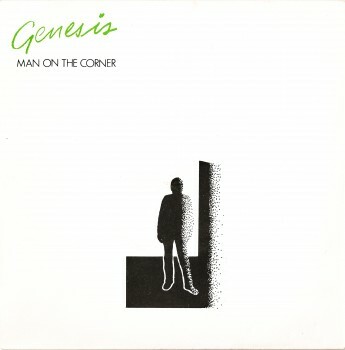 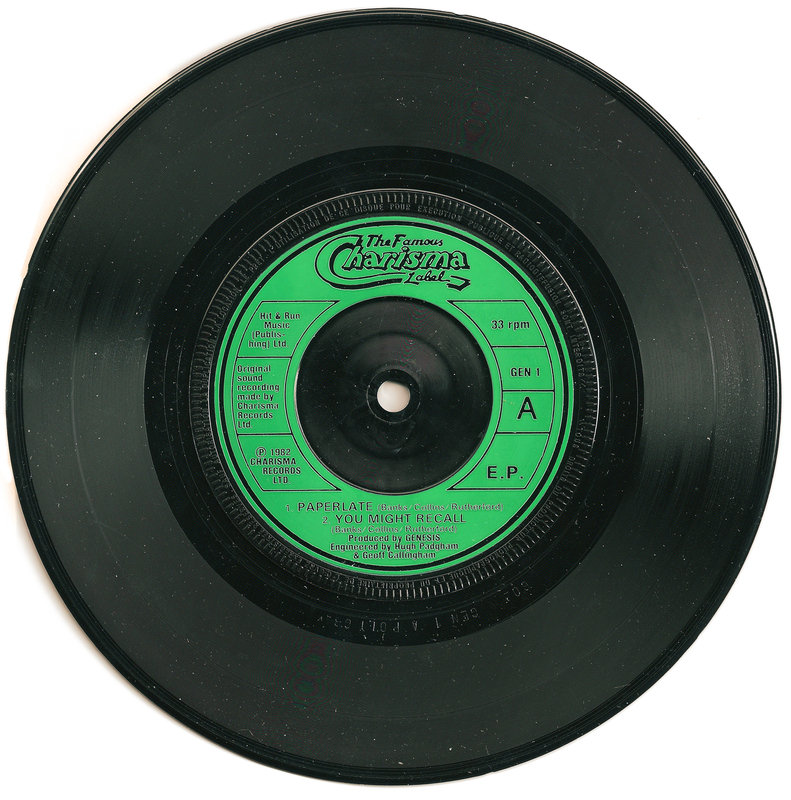 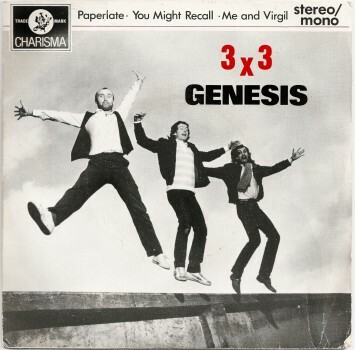 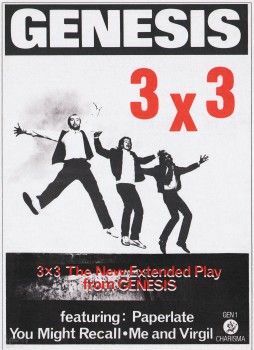 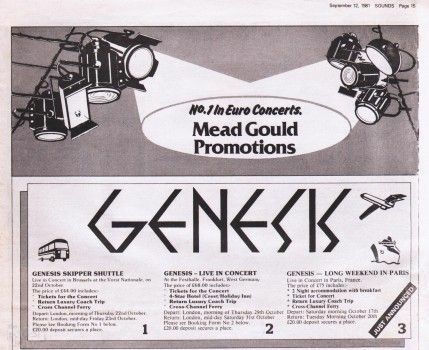 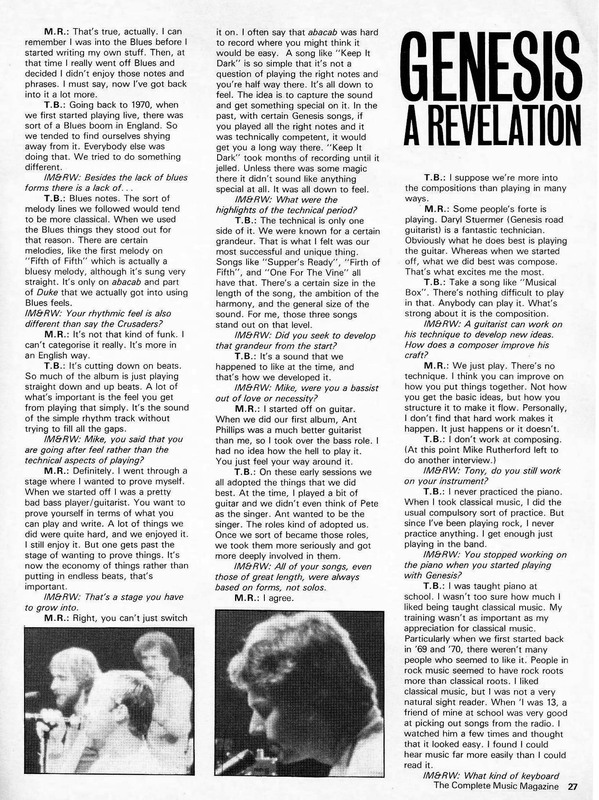 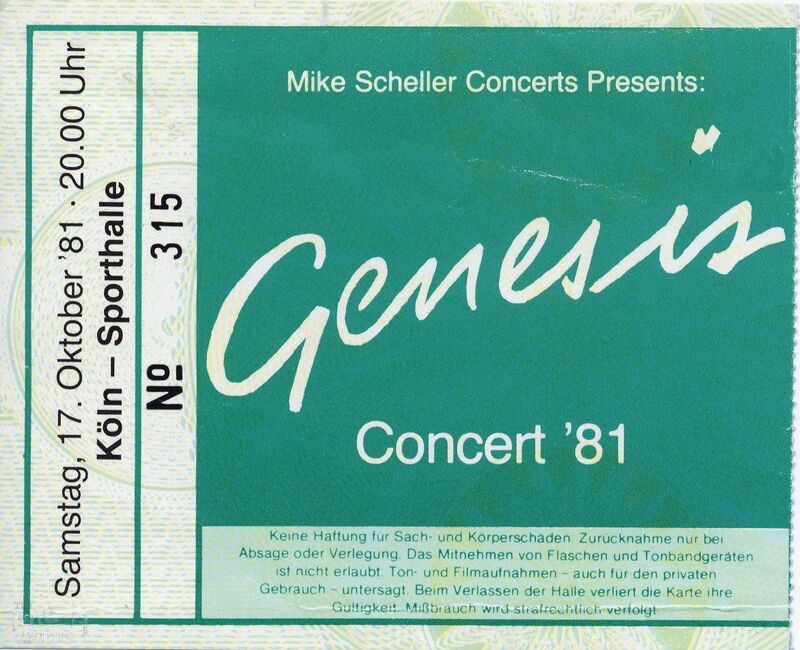 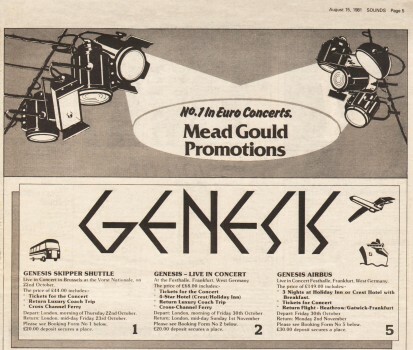 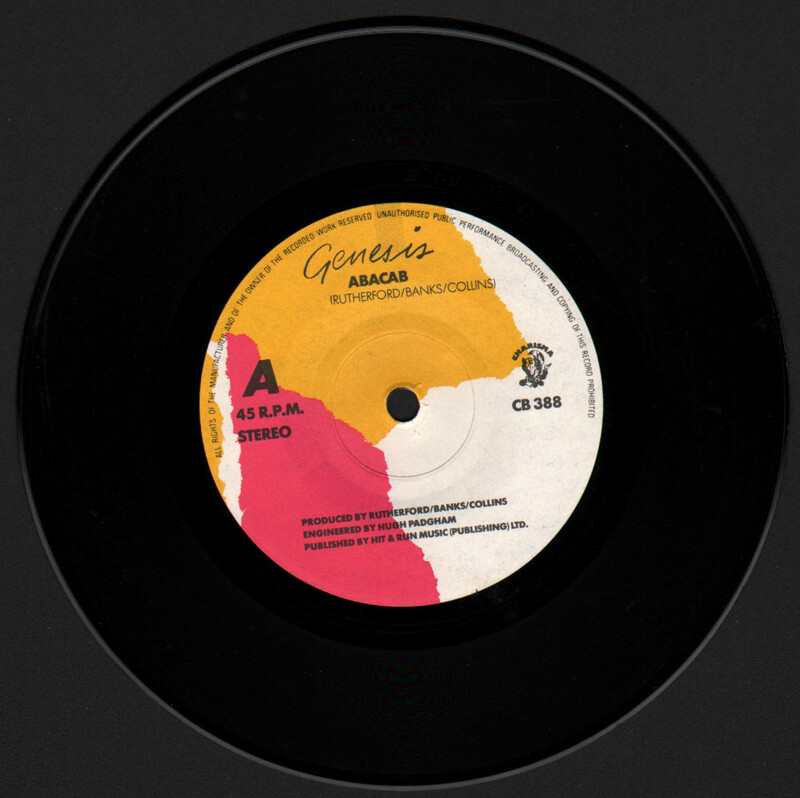 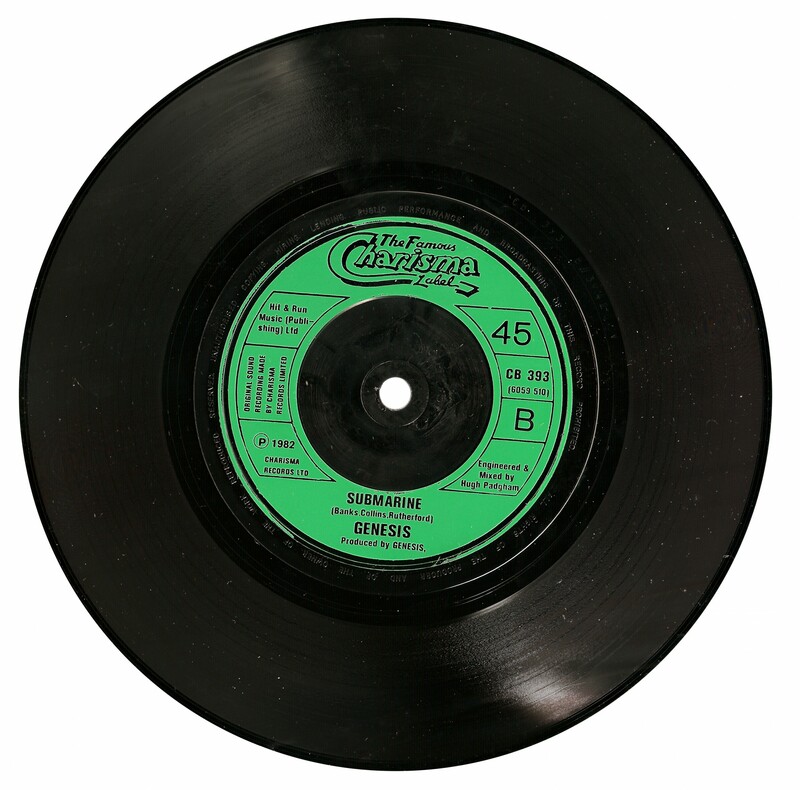 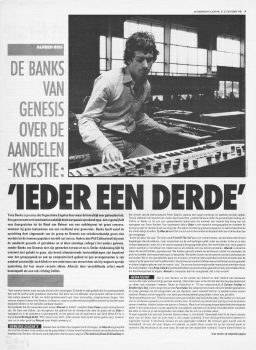 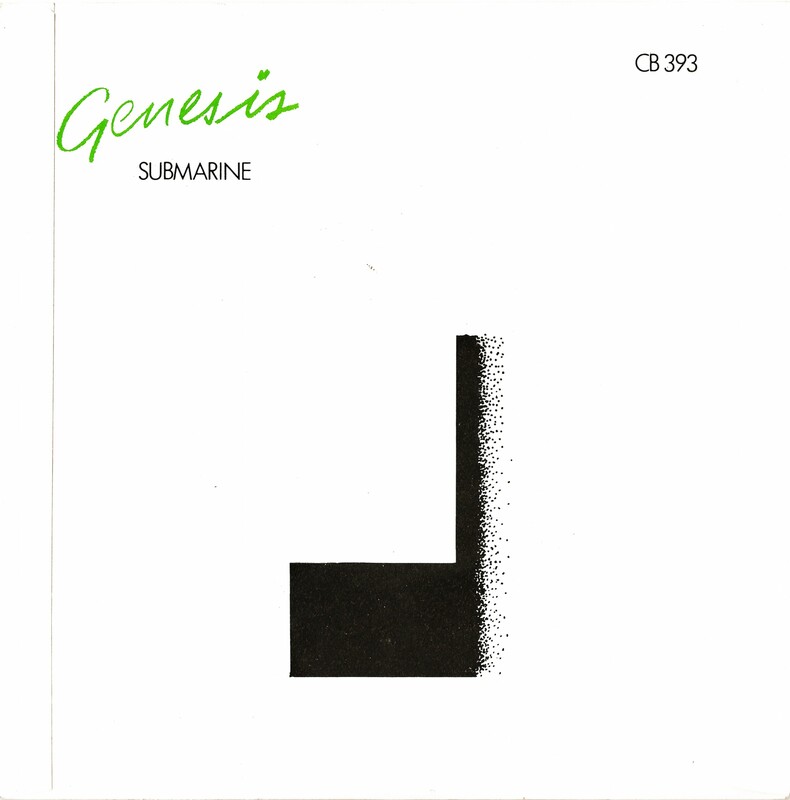 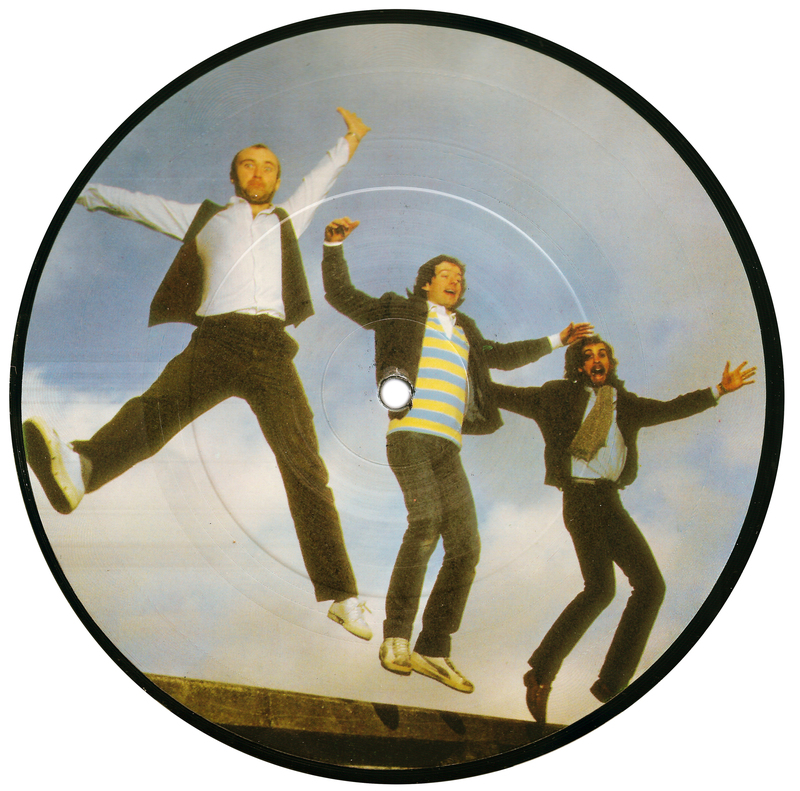 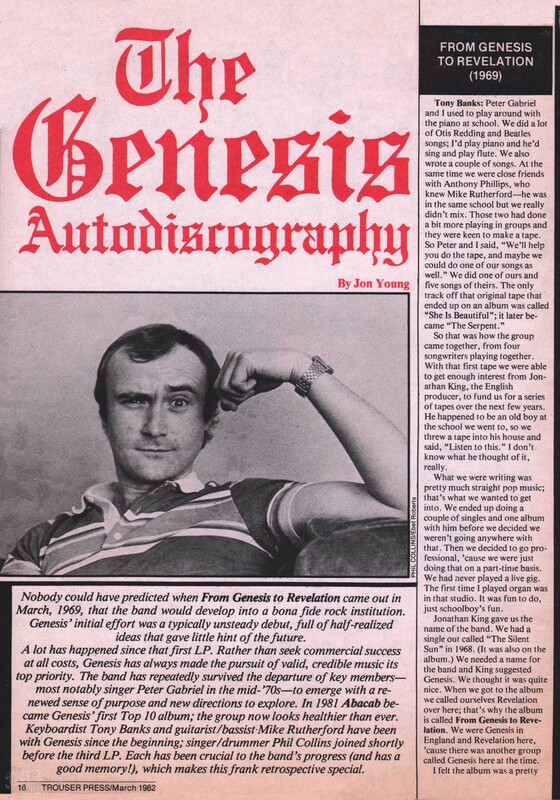 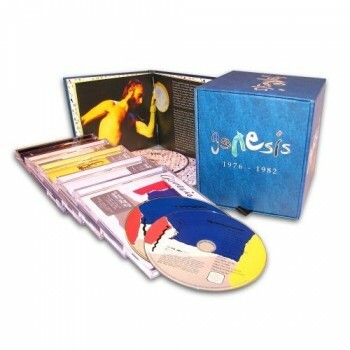 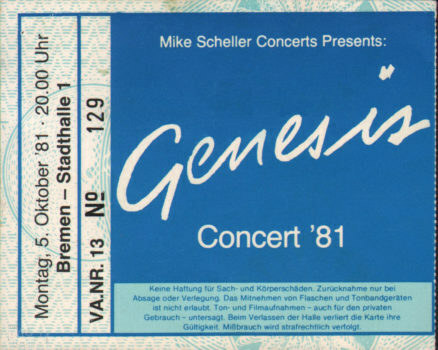 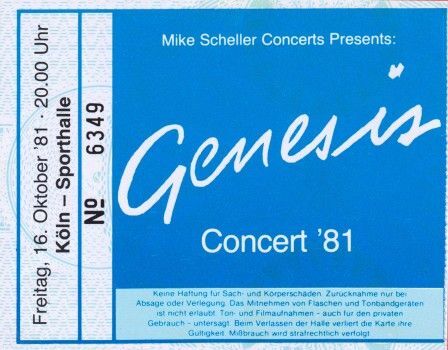 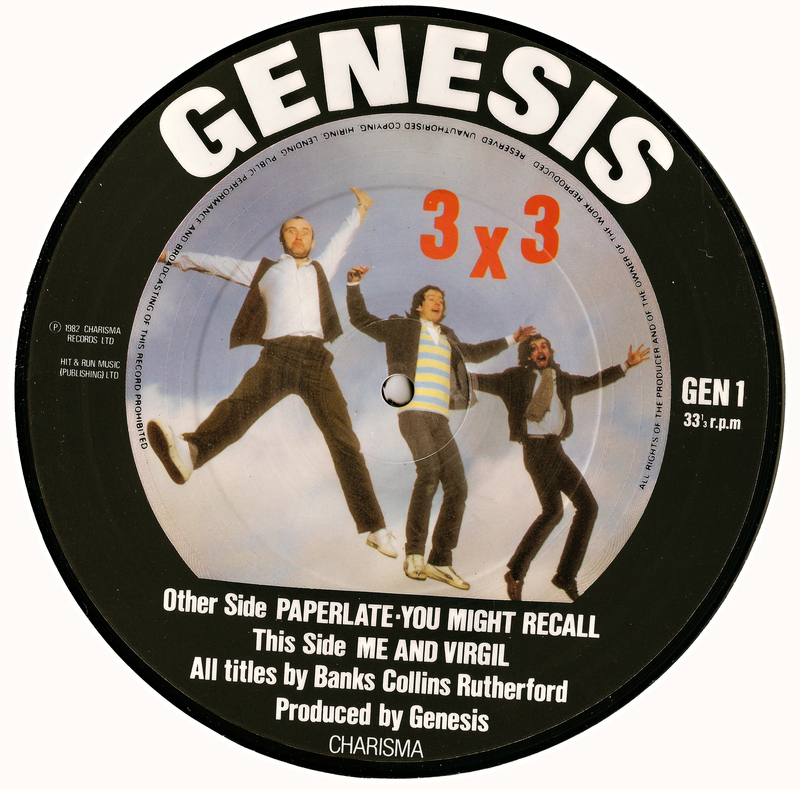 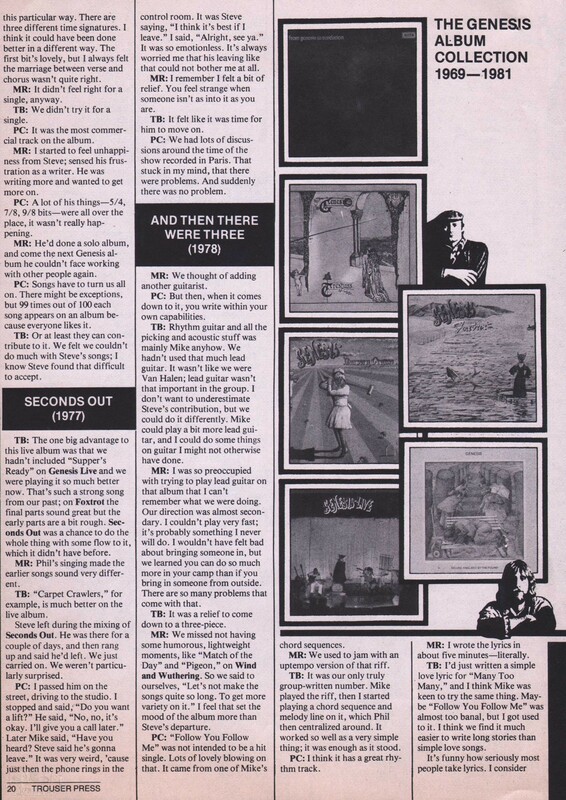 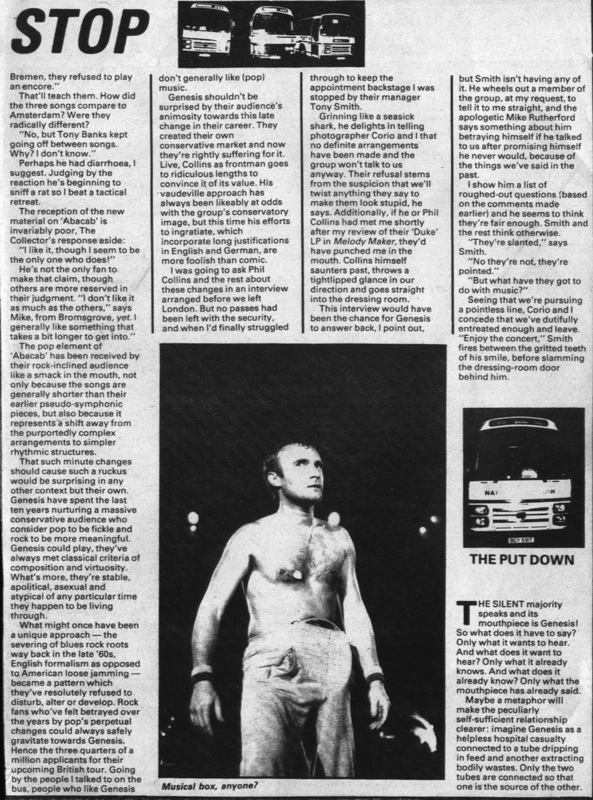 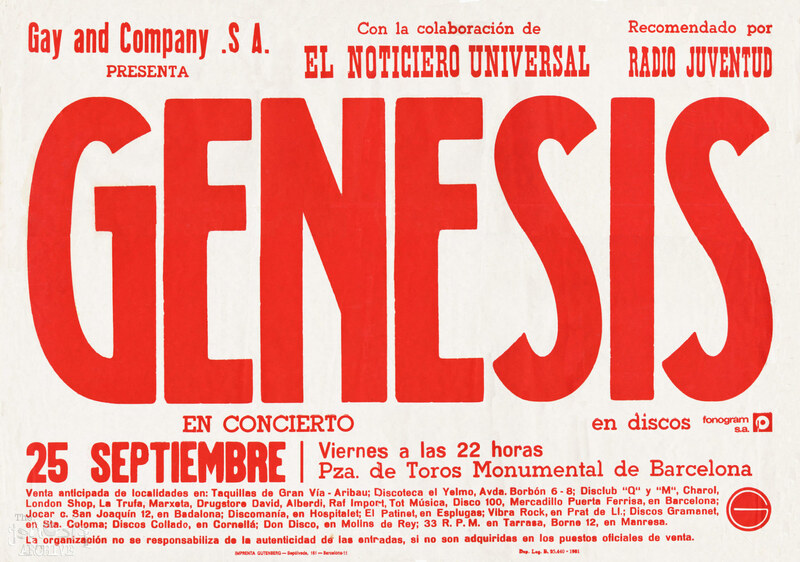 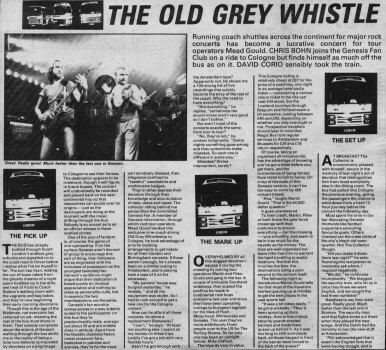 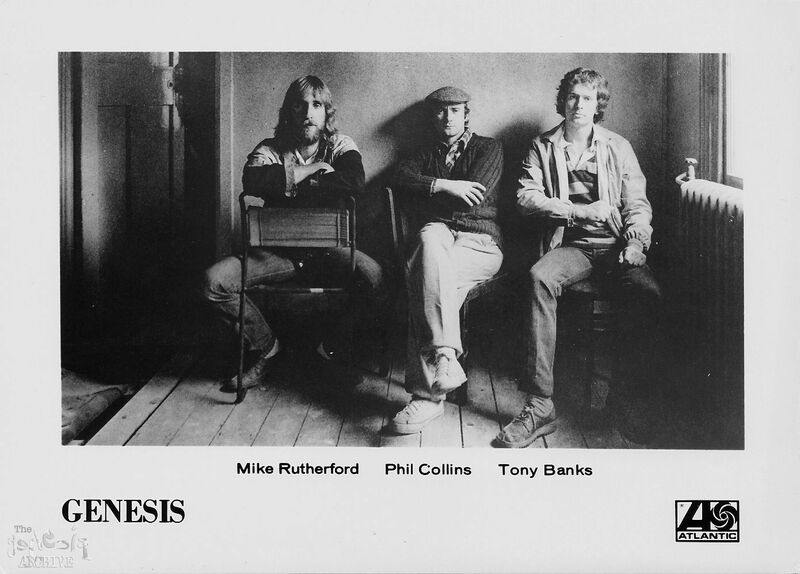 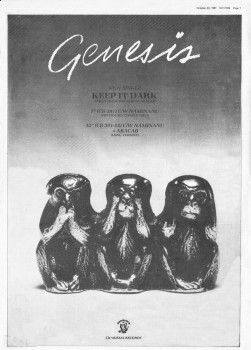 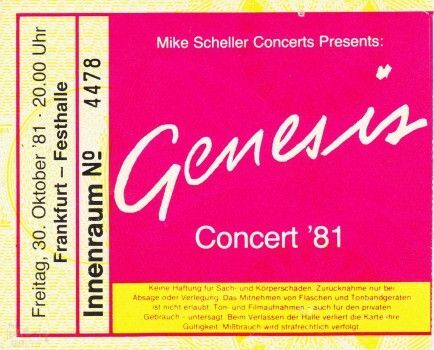 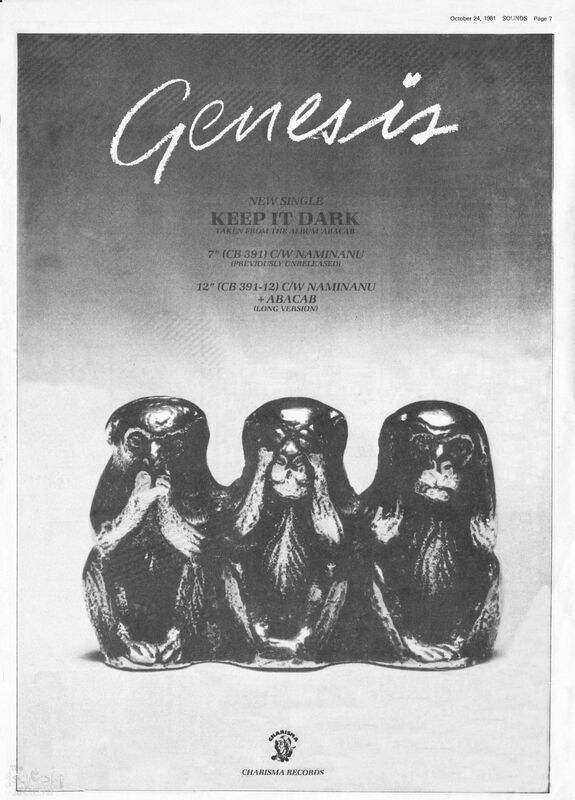 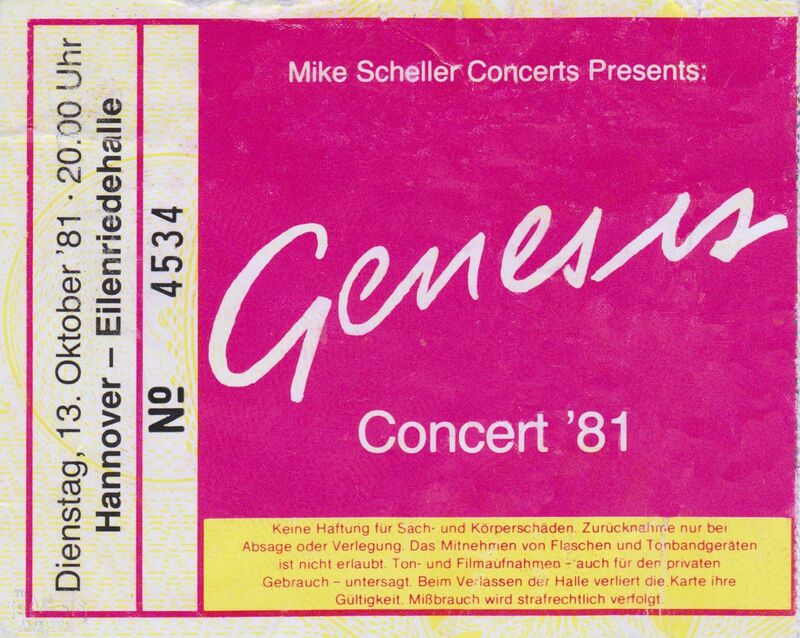 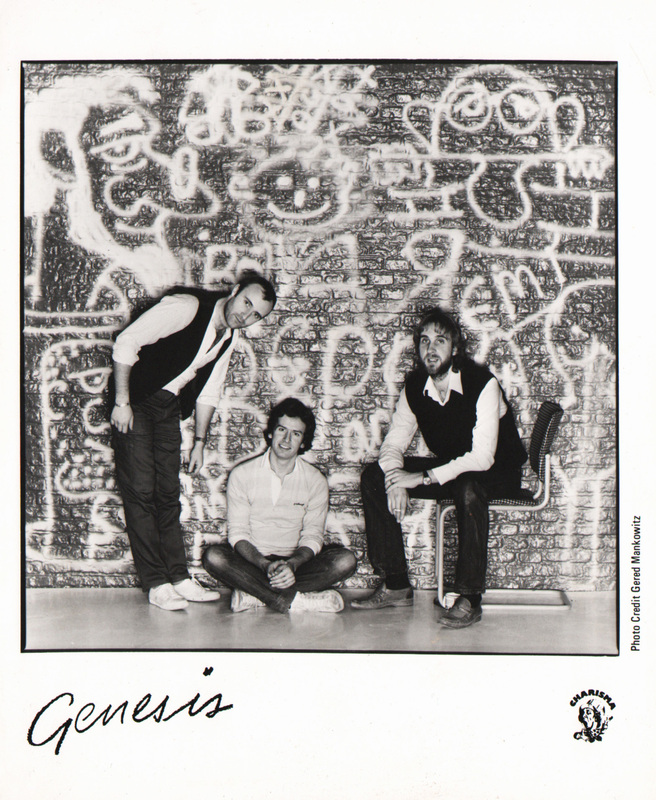 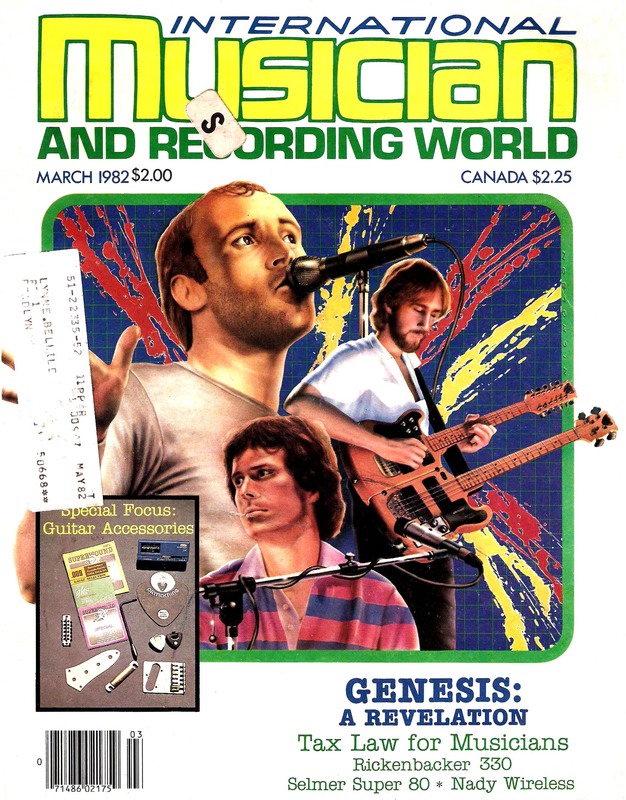 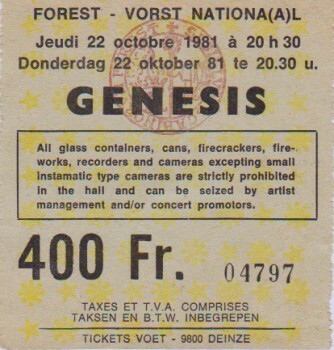 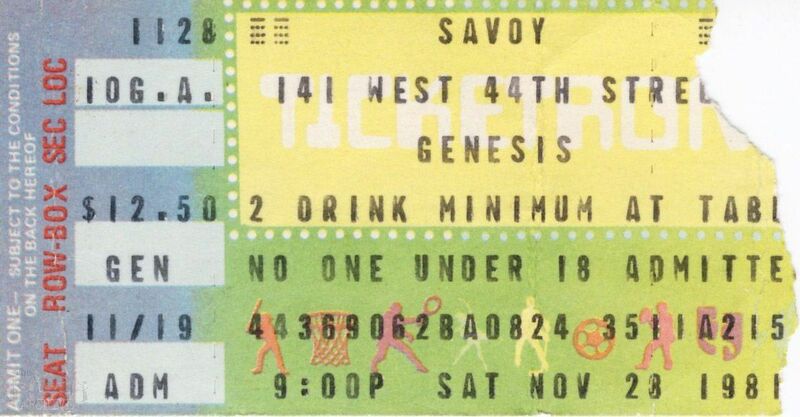 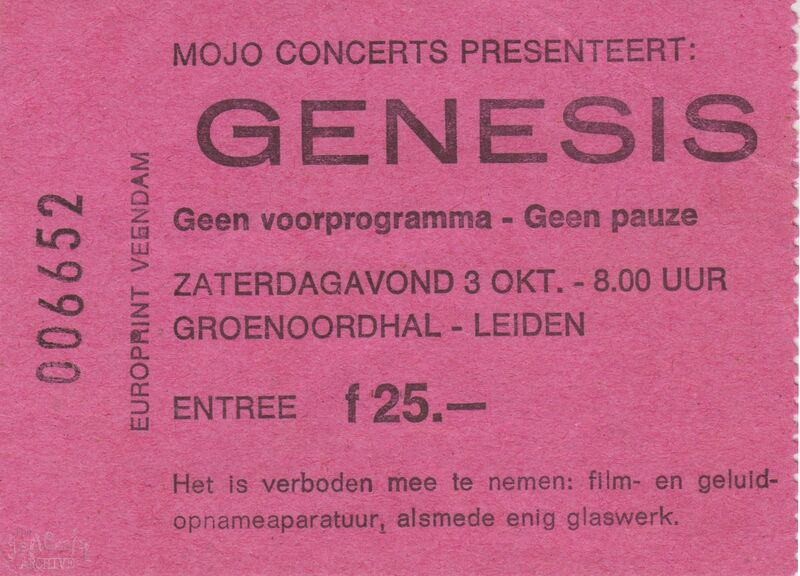 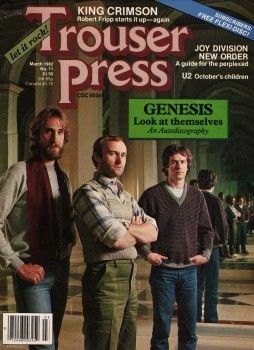 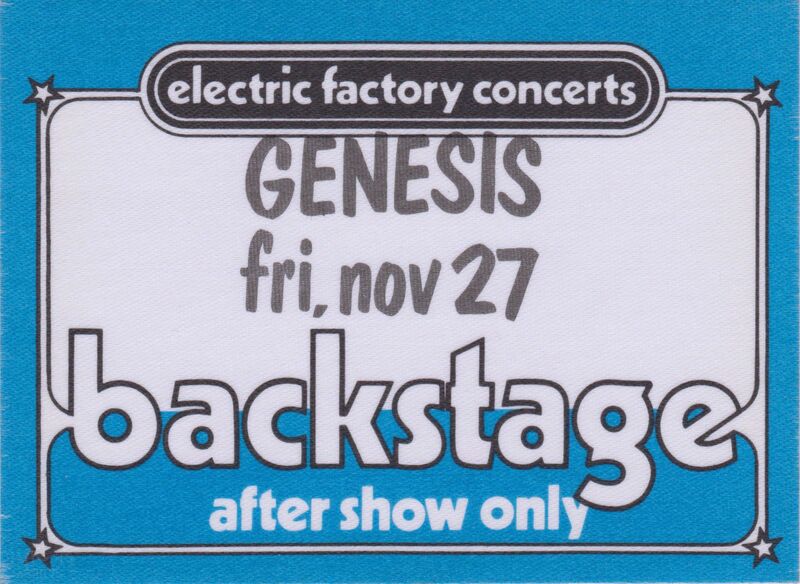 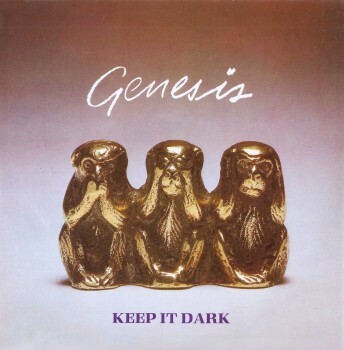 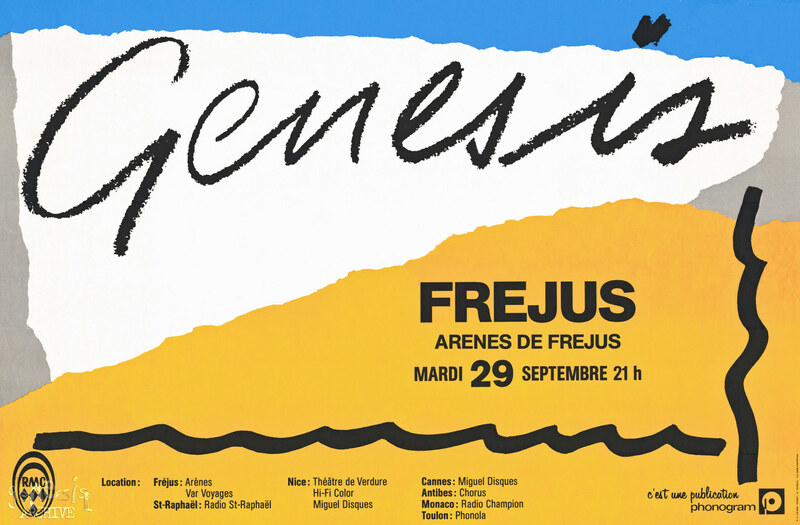 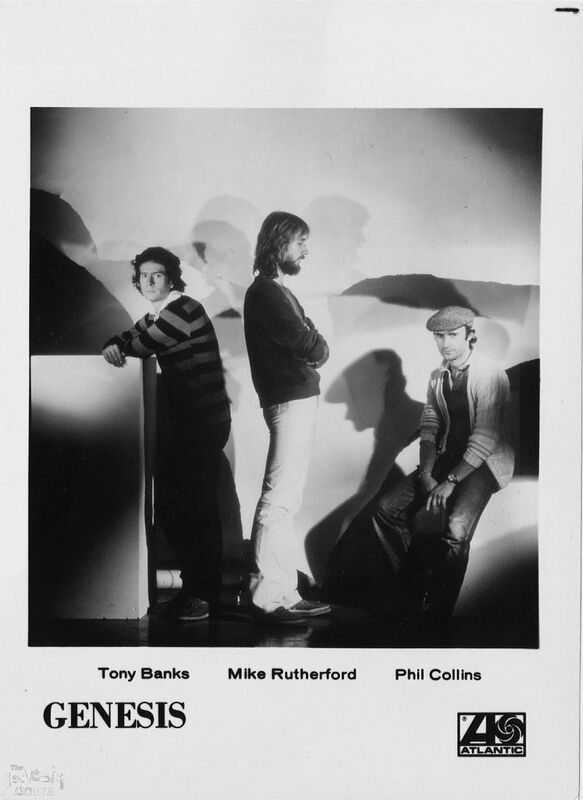 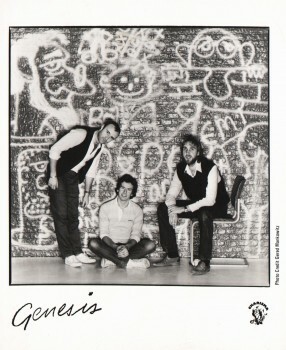 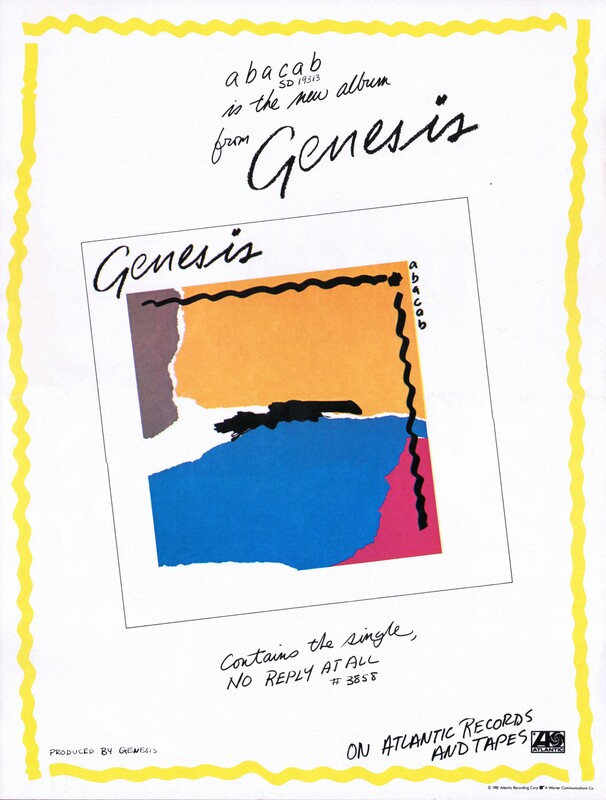 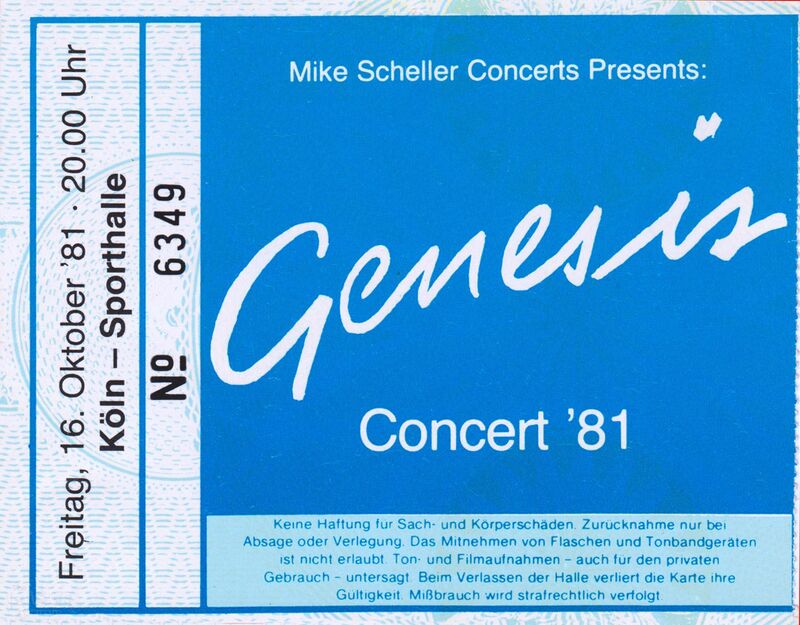 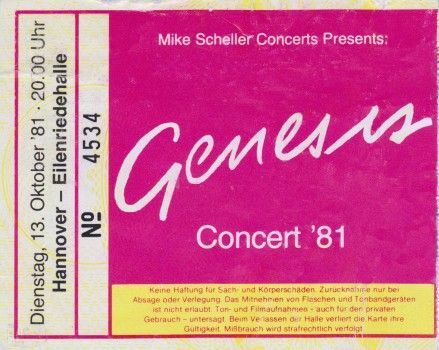 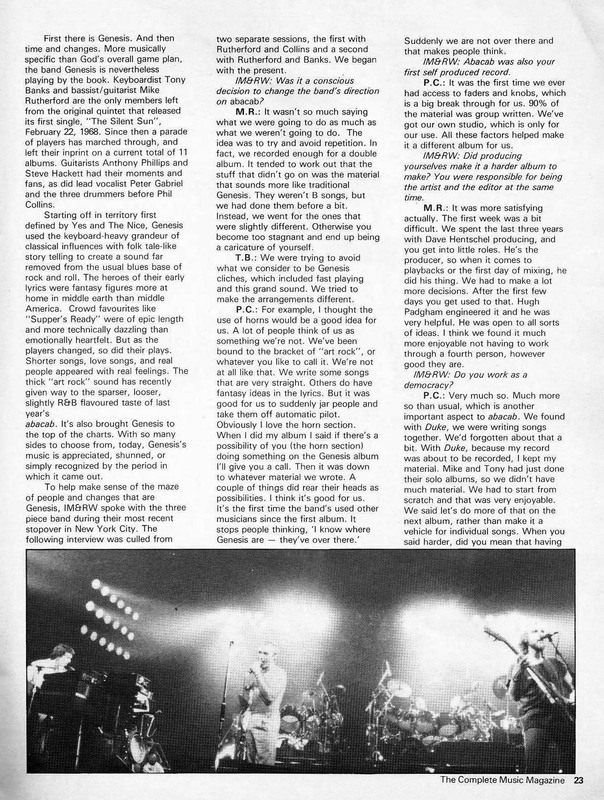 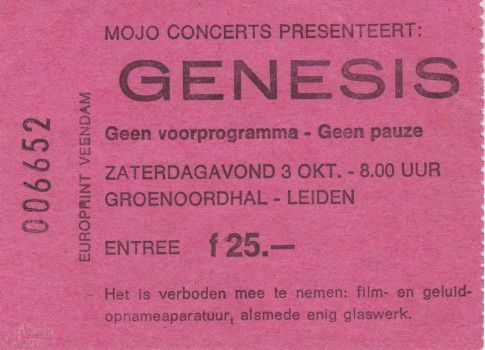 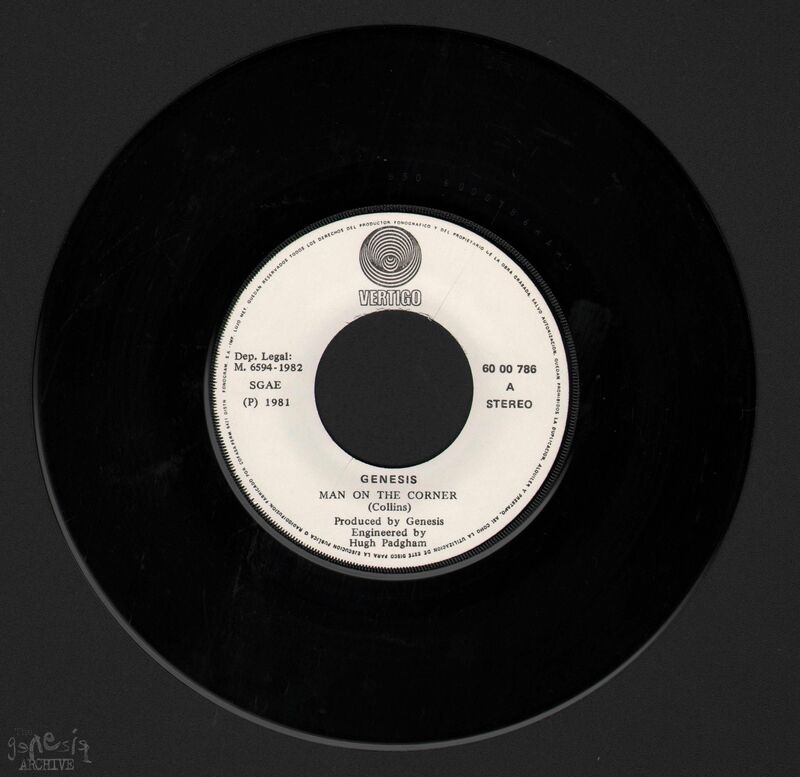 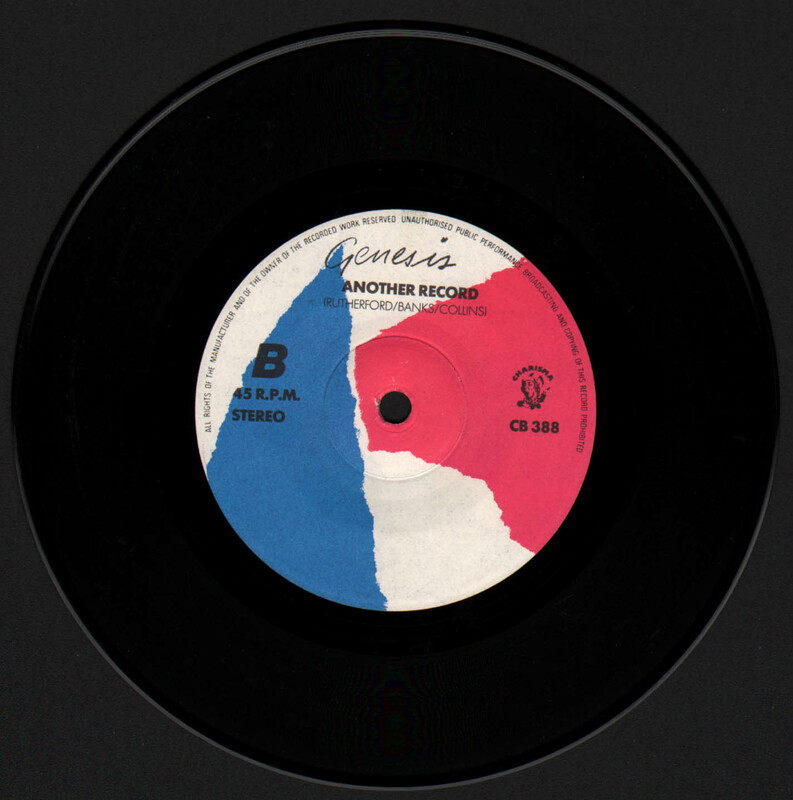 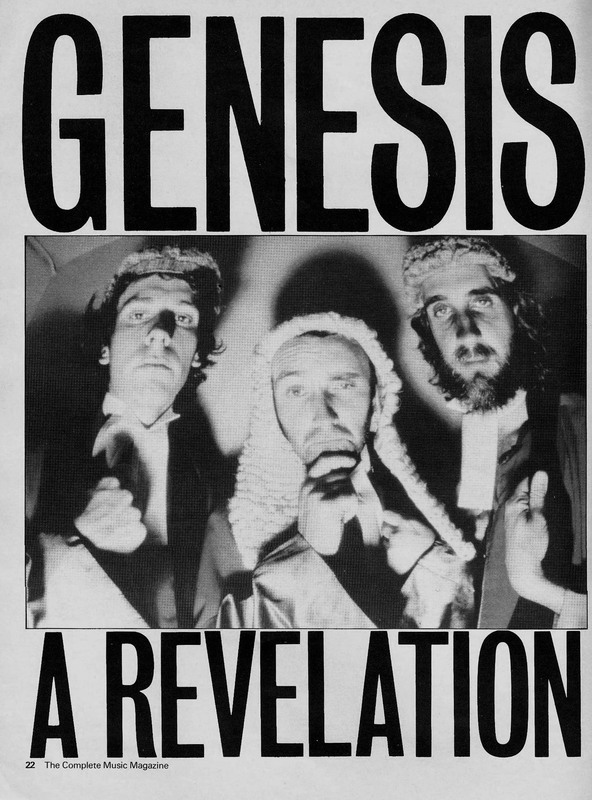 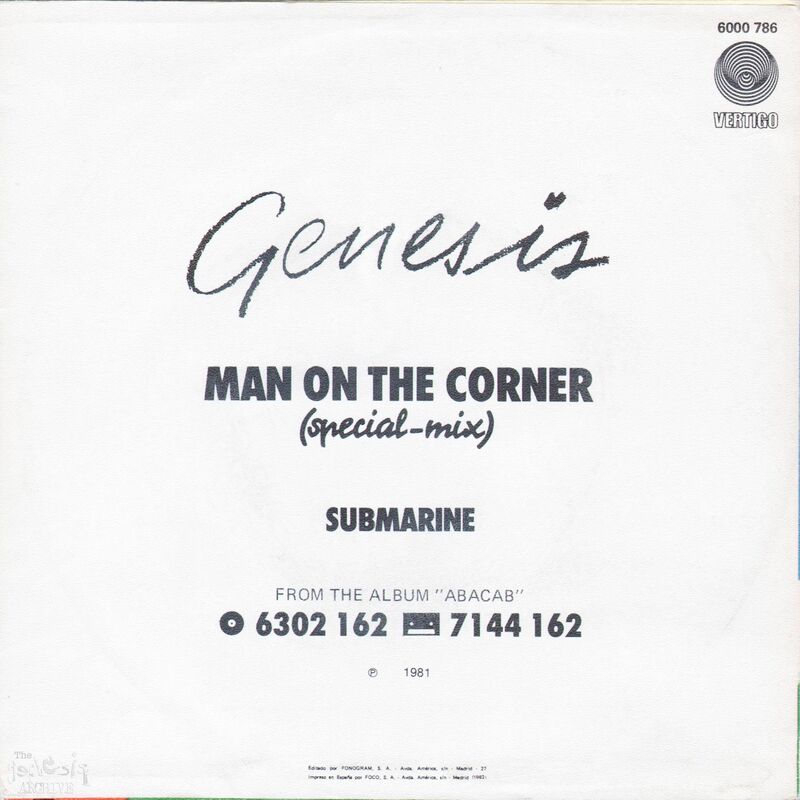 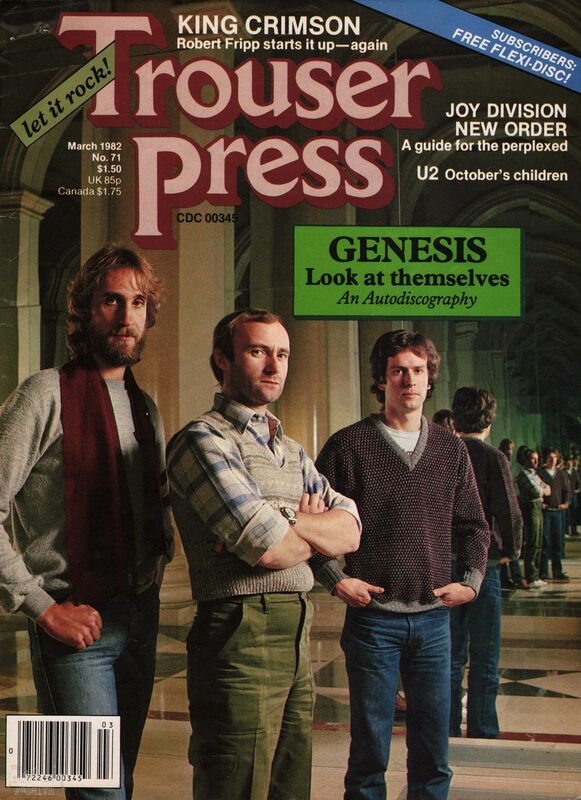 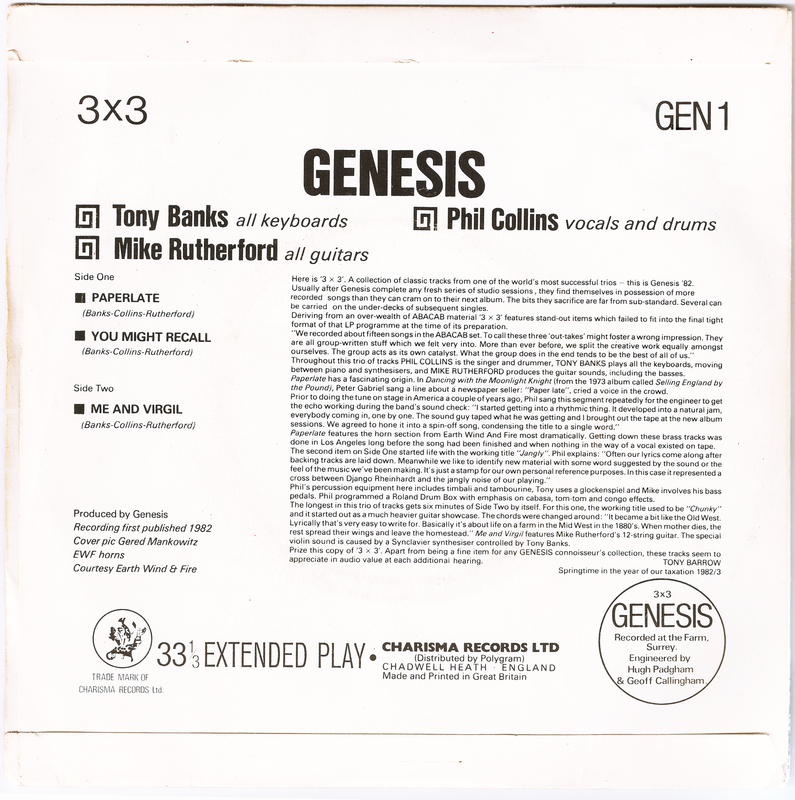 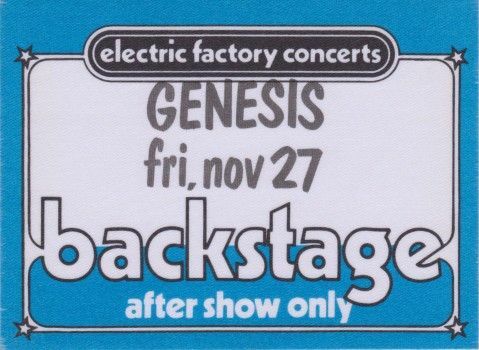 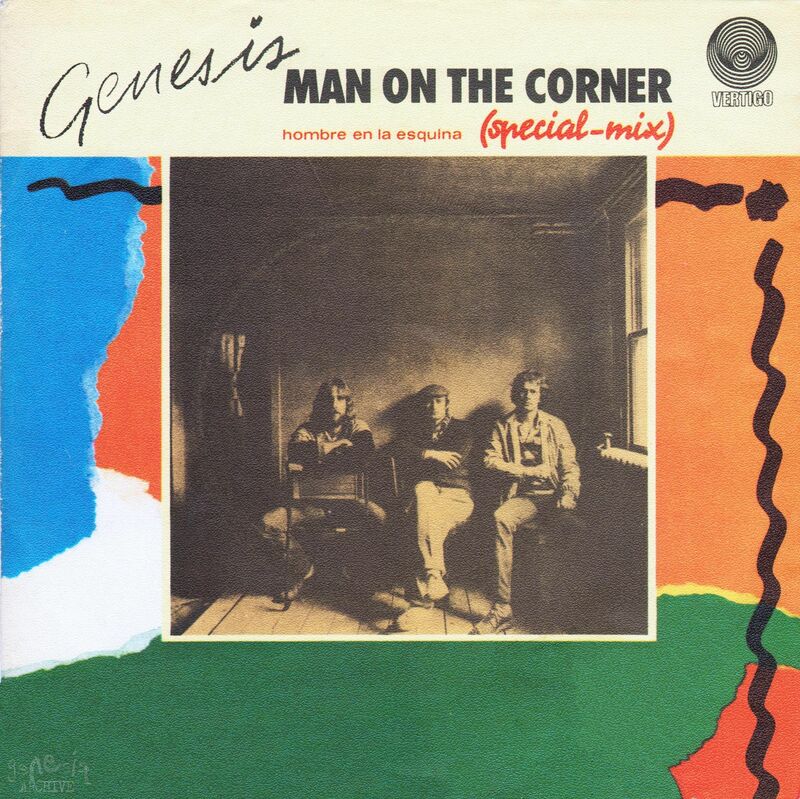 Genesis are interviewed although it mainly seems to be Mike Rutherford, subjects covered are Acting Very Strange (Mikes second solo album), Abacab and the Encore tour of 1982.